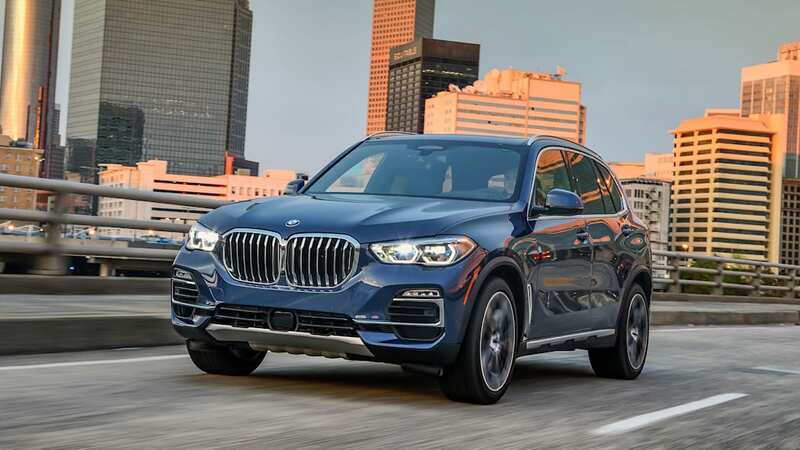 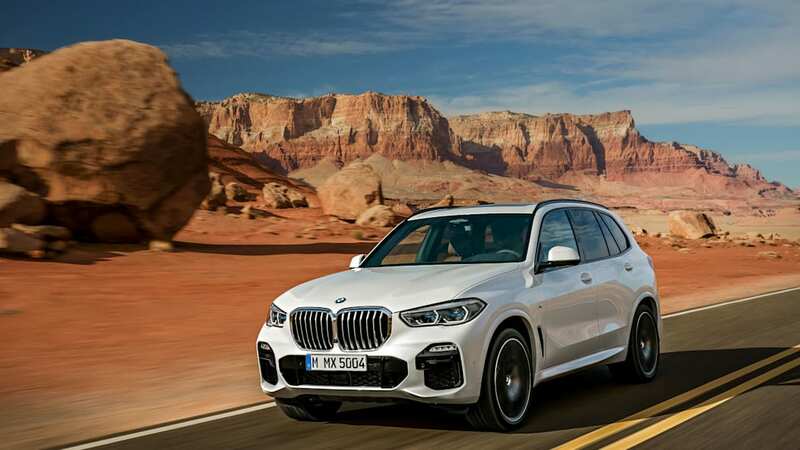 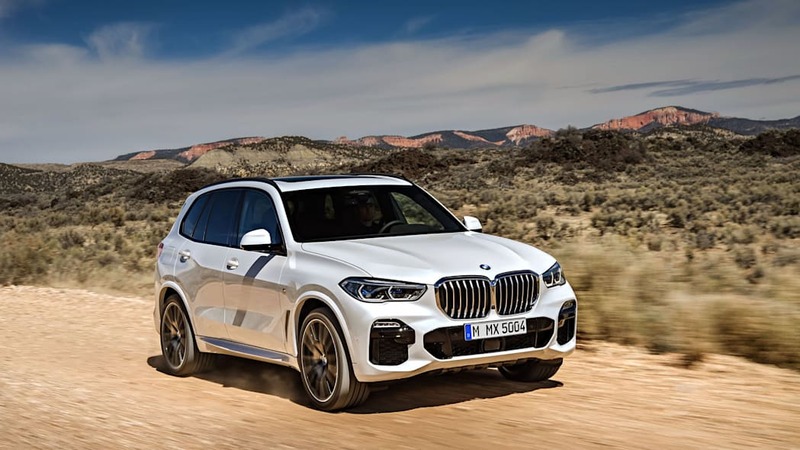 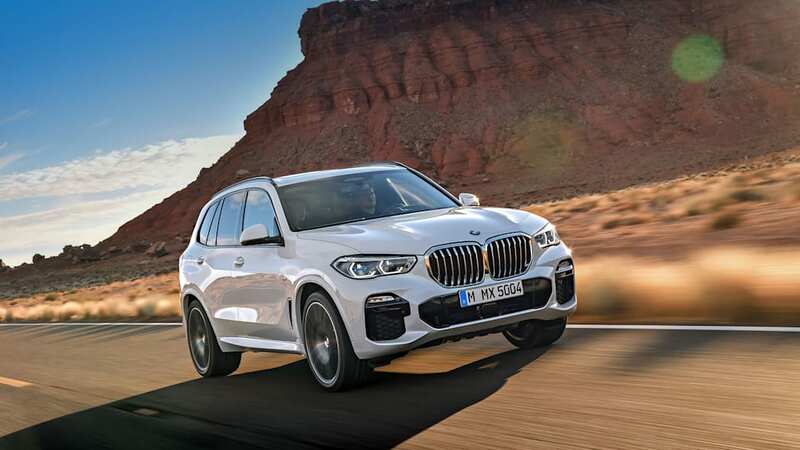 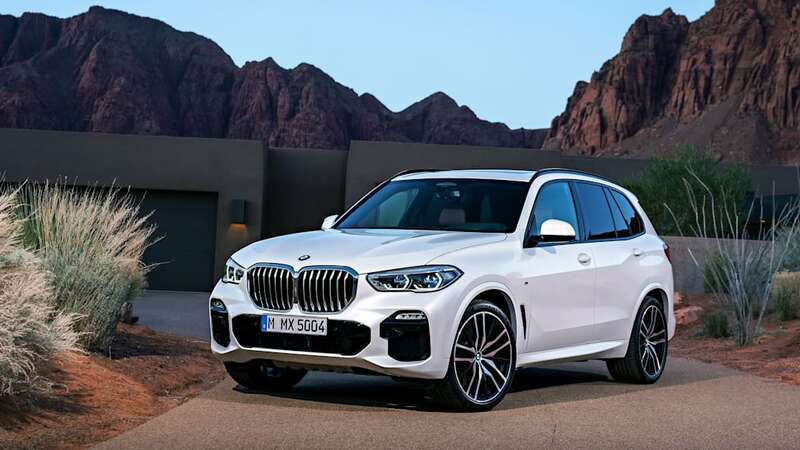 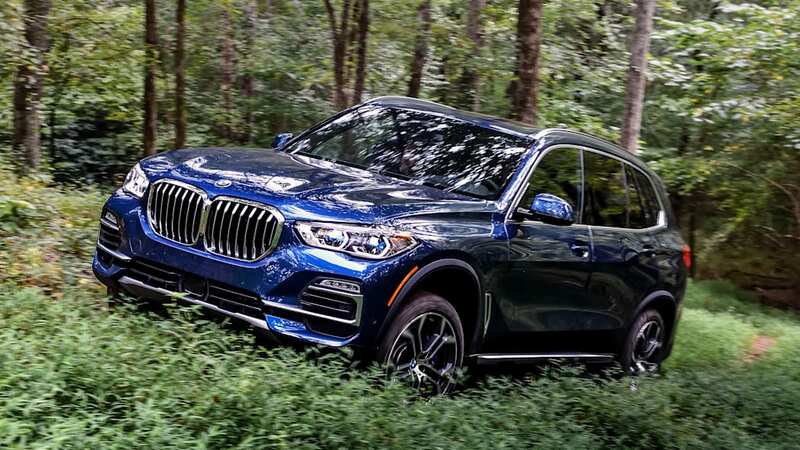 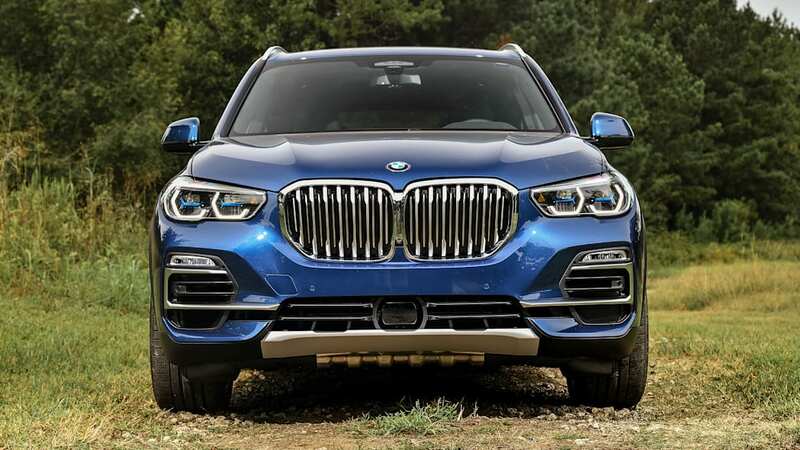 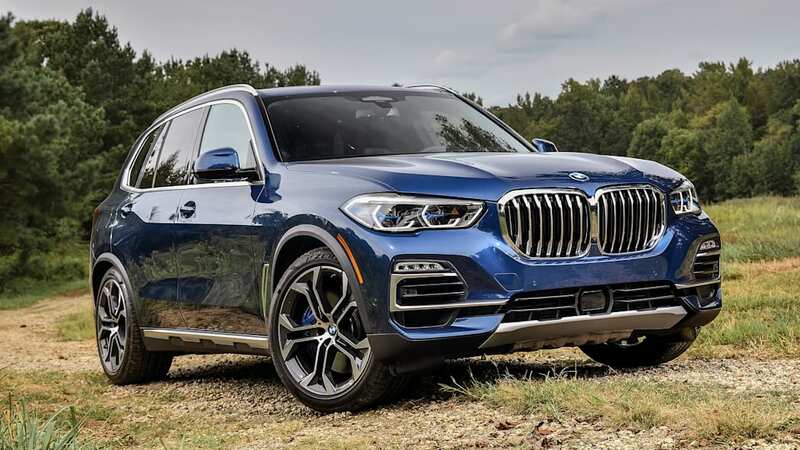 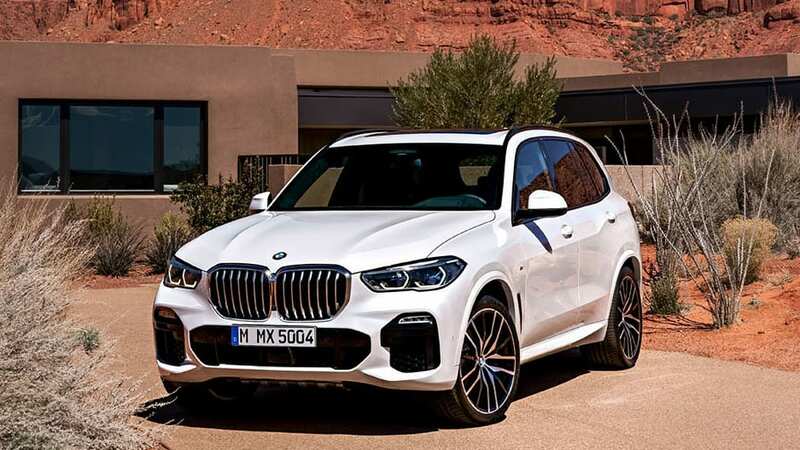 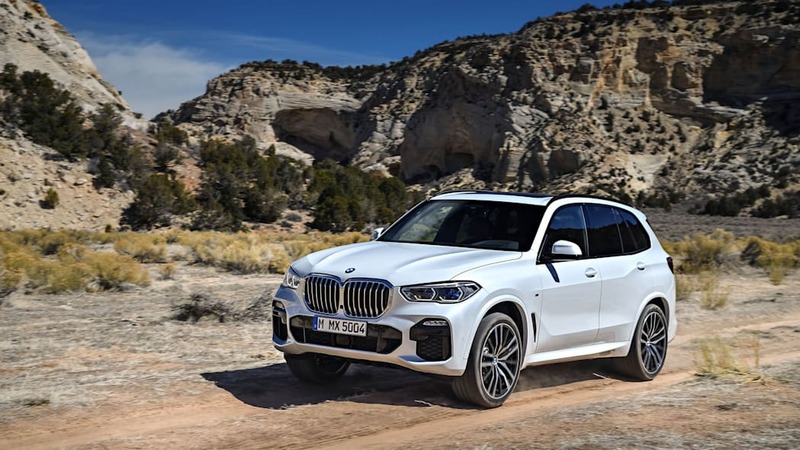 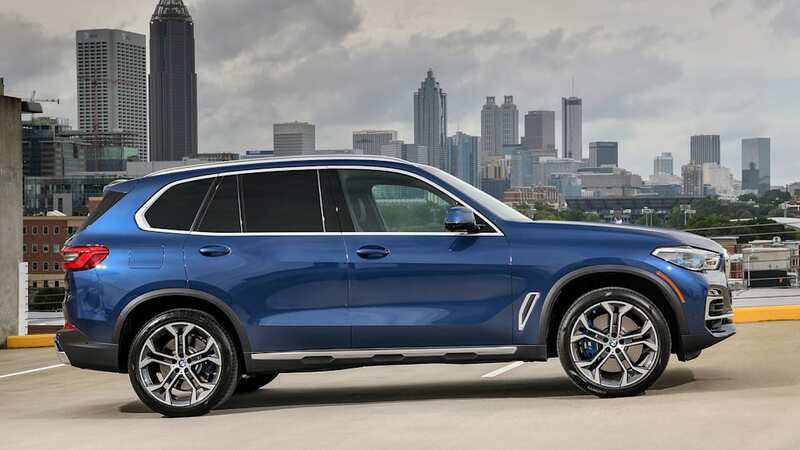 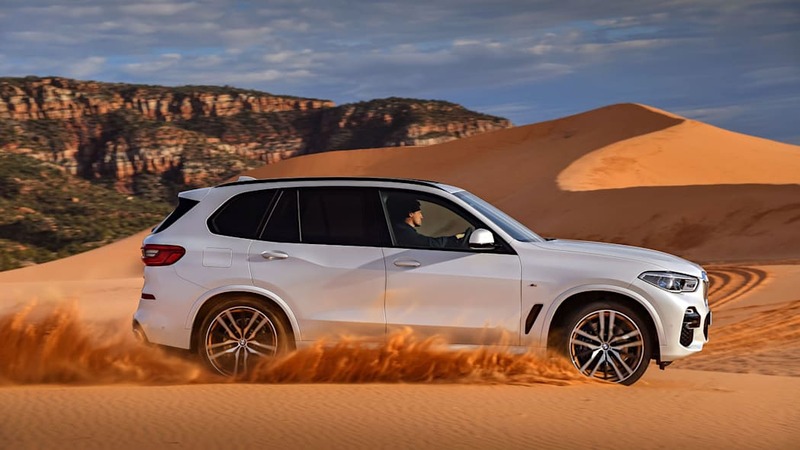 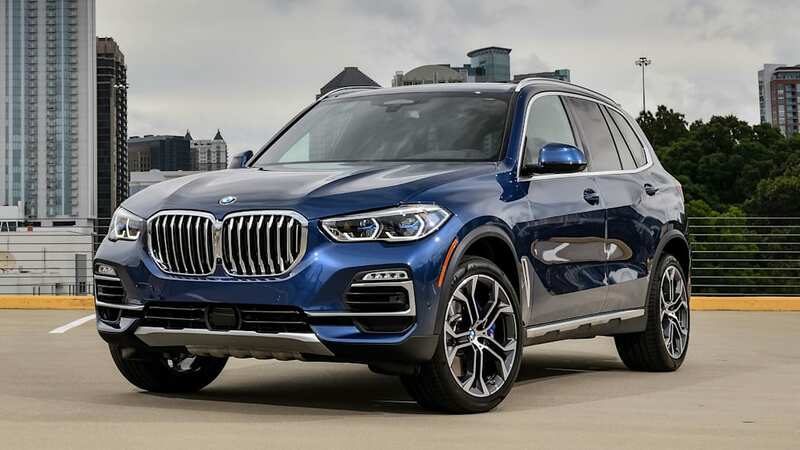 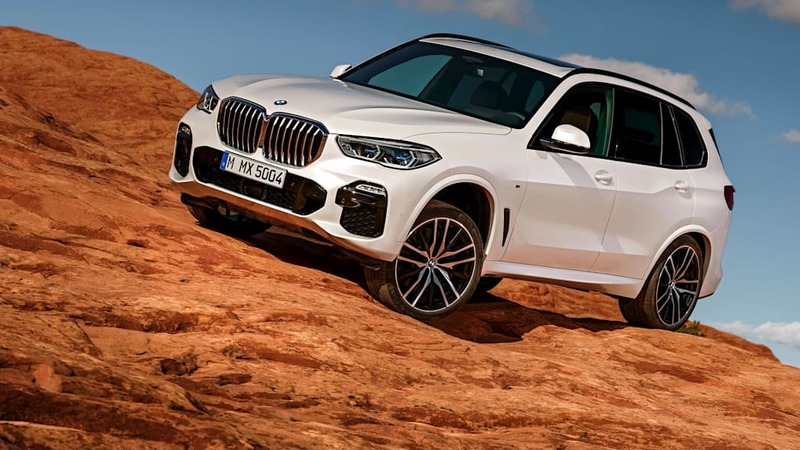 The 2019 BMW X5 is a mid-size SUV that delivers the luxurious experience expected from the lofty segment its predecessors helped pioneer. 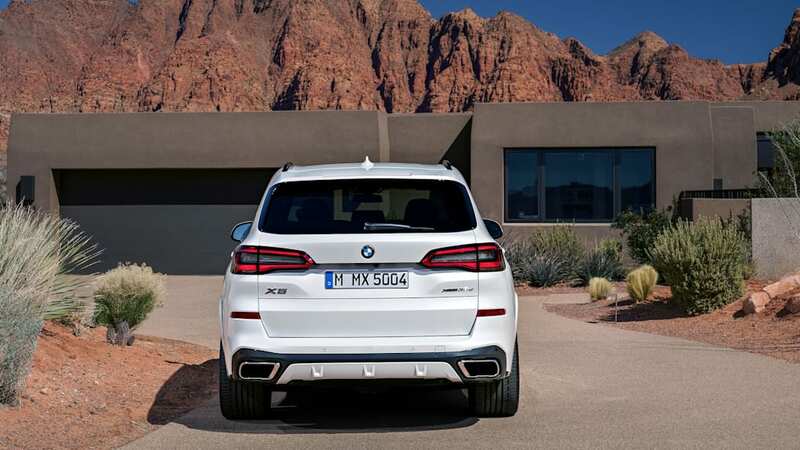 Unlike some of those early X5's, however, the current version is hardly the athlete of the segment. 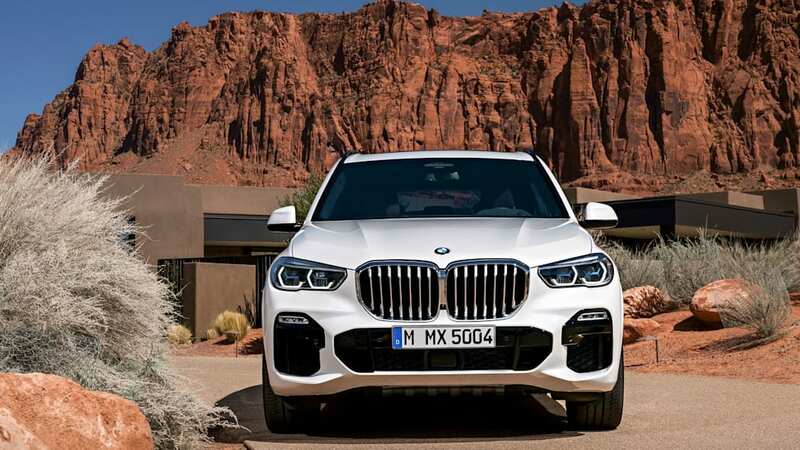 Nevertheless, its blistering performance and poised handling still shine through despite the X5 prioritizing comfort, quiet and refinement. 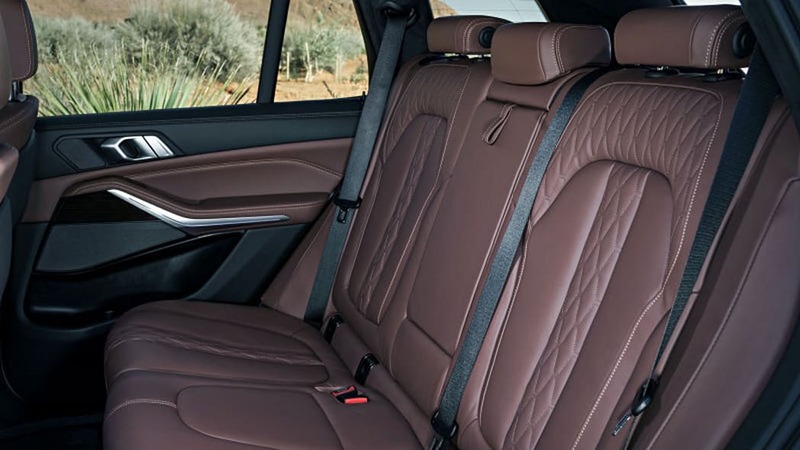 It should strike a just-right balance for many luxury shoppers. 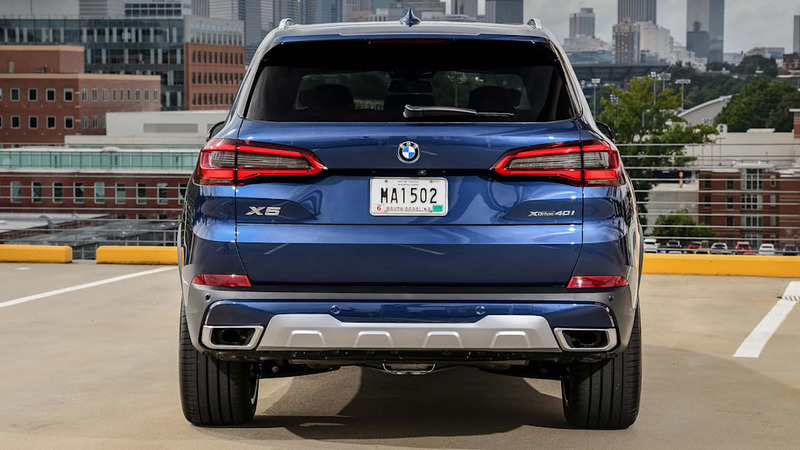 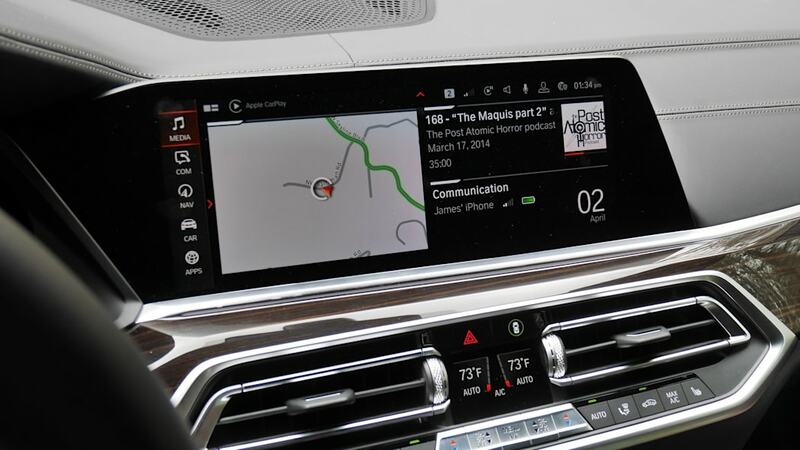 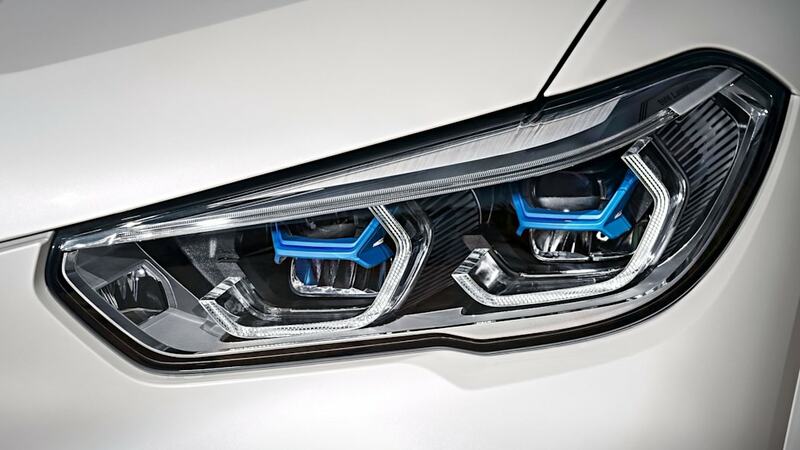 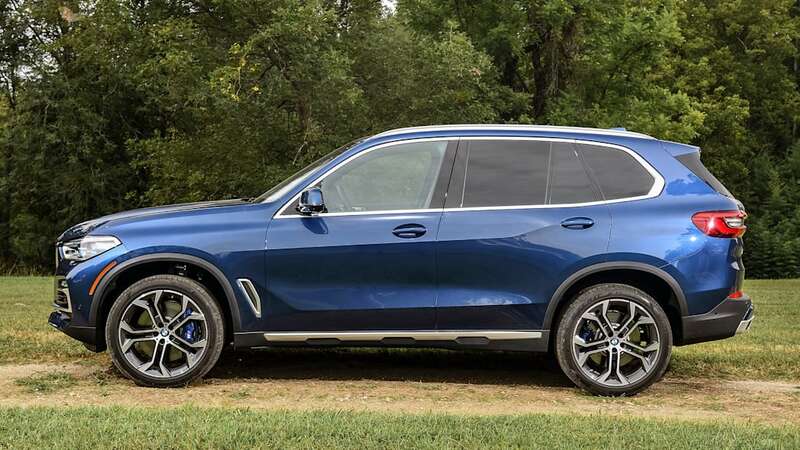 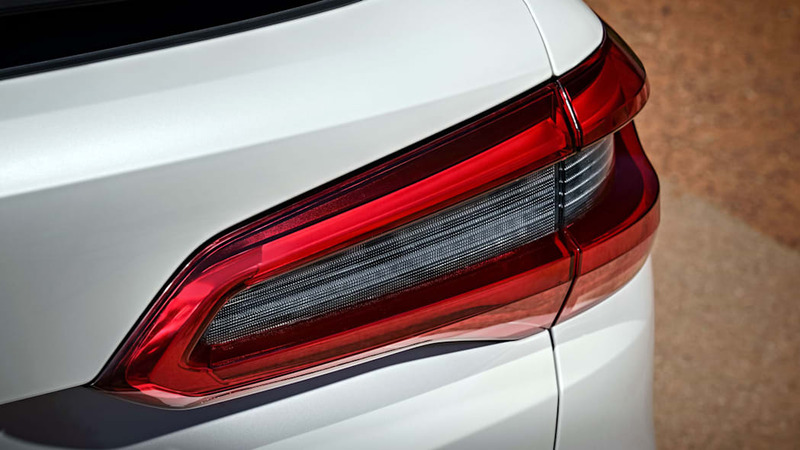 The 2019 X5 is also a technology tour de force, boasting nearly every infotainment goodie in BMW's bag plus standard accident avoidance features. 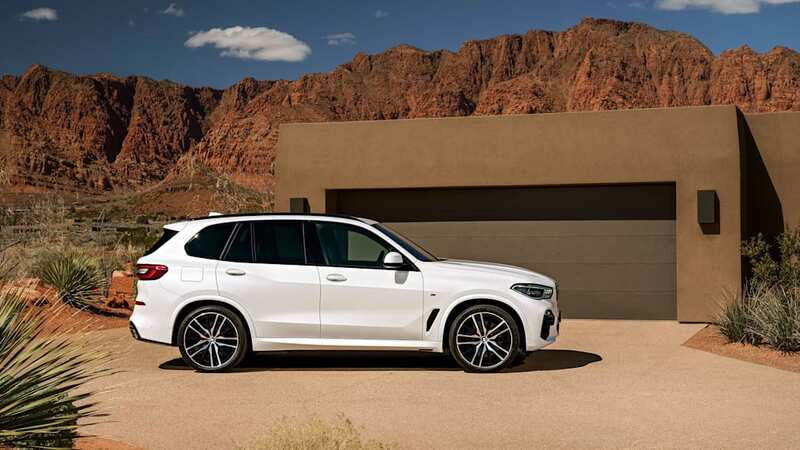 As it's always been, the X5 should be a must-drive for anyone seeking one of the finest five-passenger SUVs available. 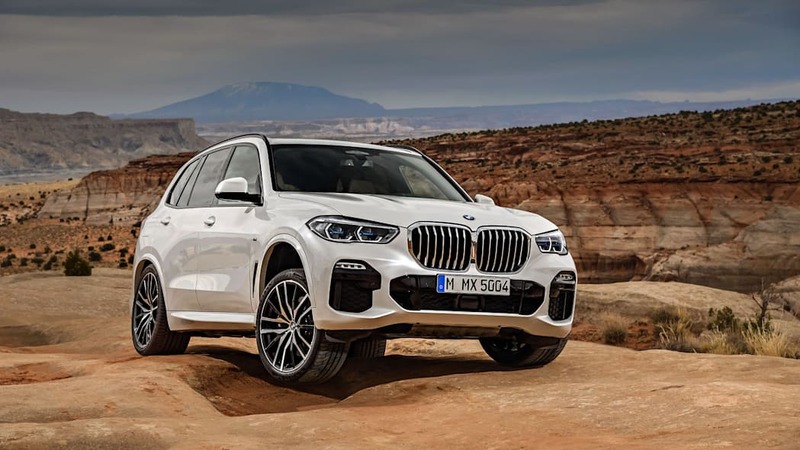 The BMW X5 was completely redesigned for 2019. 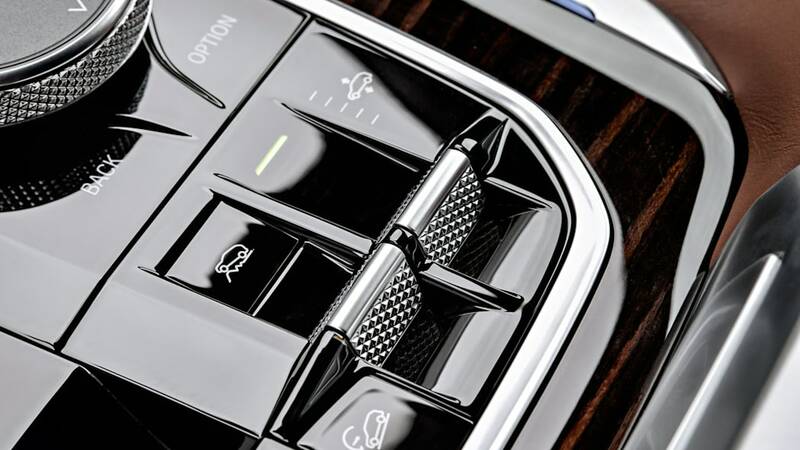 It has bolder exterior styling, and a more overtly luxurious interior featuring a ritzier design and posher materials. 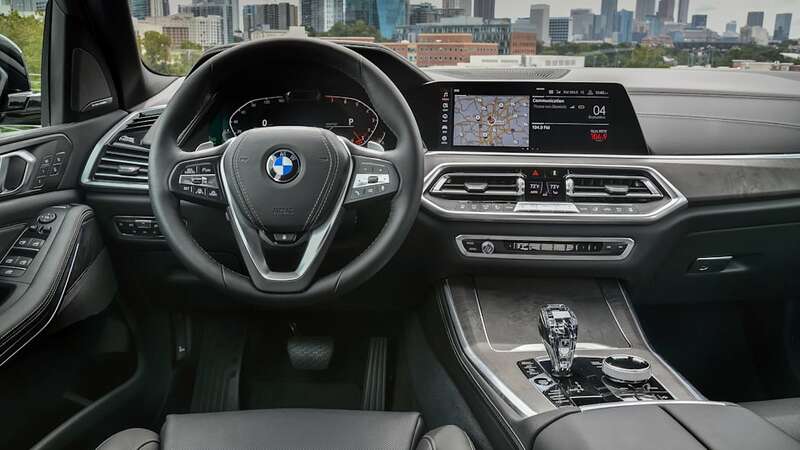 Technology is also on full display in terms of infotainment (the latest iDrive 7 interface), driving aids (the new Backup Assistant parking system) and safety features (automatic emergency braking and lane-keeping assist are among items now standard). 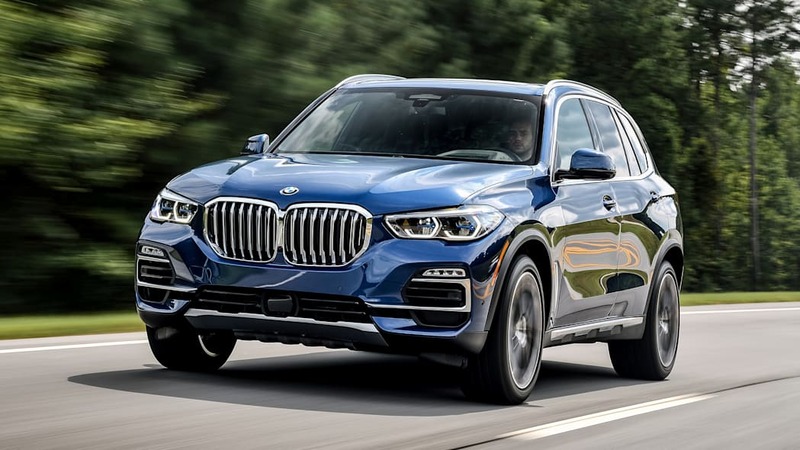 Mechanically, the X5 rides on BMW's latest modular platform, and it promises an improved suspension that offers a more controlled ride and better handling. 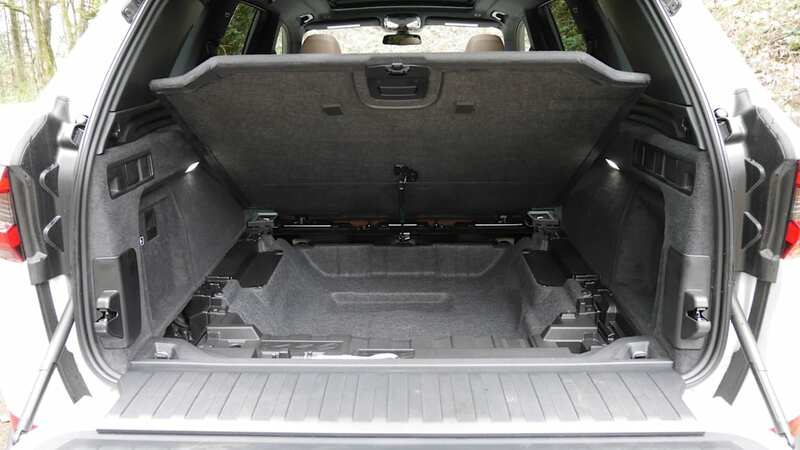 There's also a newly available height-adjustable air suspension and rear-wheel steering. 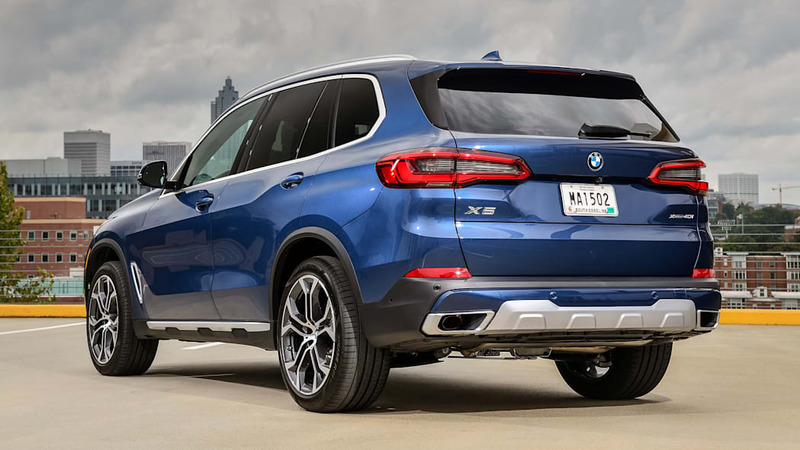 The base engine remains a turbocharged inline-six, but it gains an extra 35 horses and 30 pound-feet of torque. 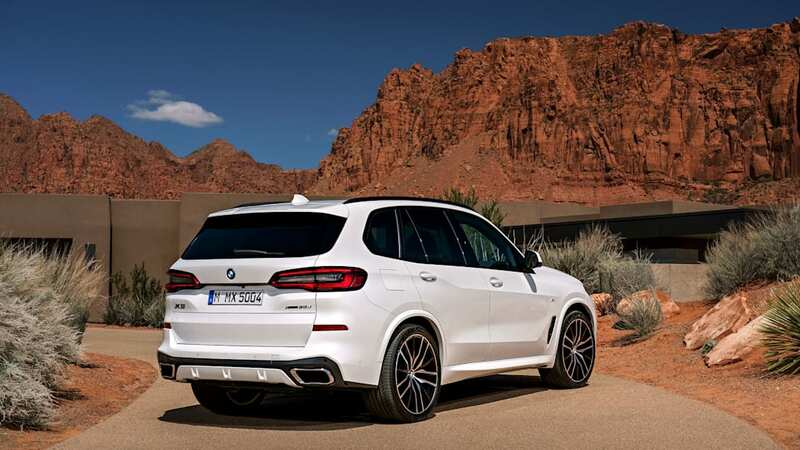 Similarly, the upgrade engine is still a 4.4-liter turbo V8, but it gains 11 hp. 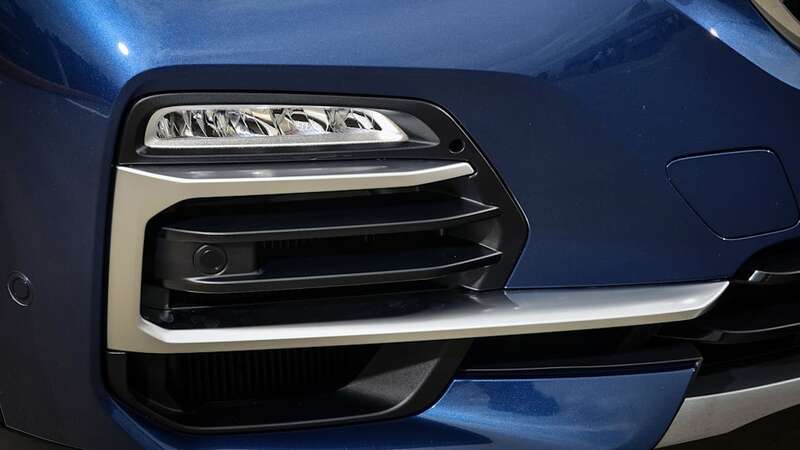 Torque remains the same. 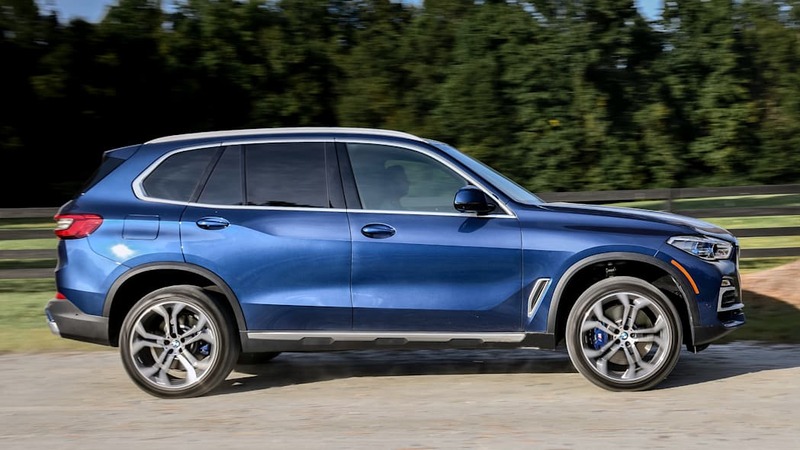 We get a sneak preview of the upcoming luxury crossover. 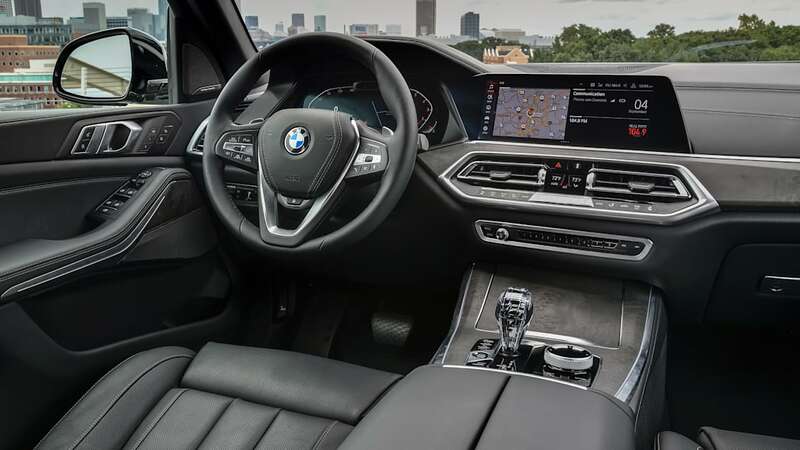 The X5's cabin is less austere than has been typical from BMW, boasting a snazzy design with ritzy materials that de-emphasize buttons in favor of large swaths of wood, the huge iDrive display and more interestingly shaped center air vents. 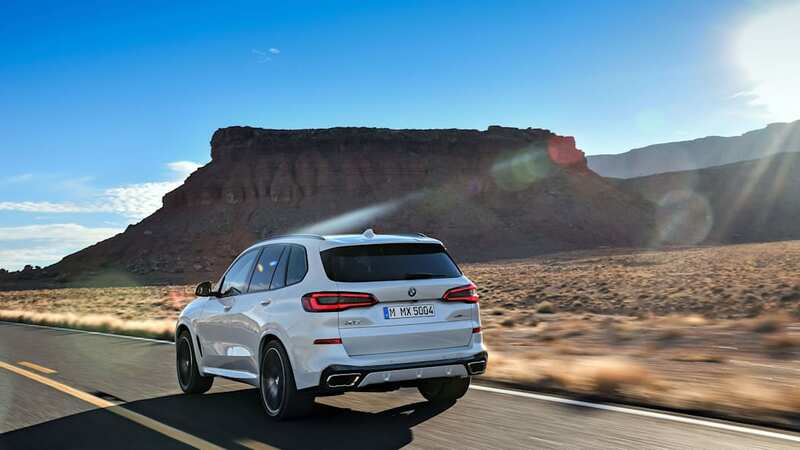 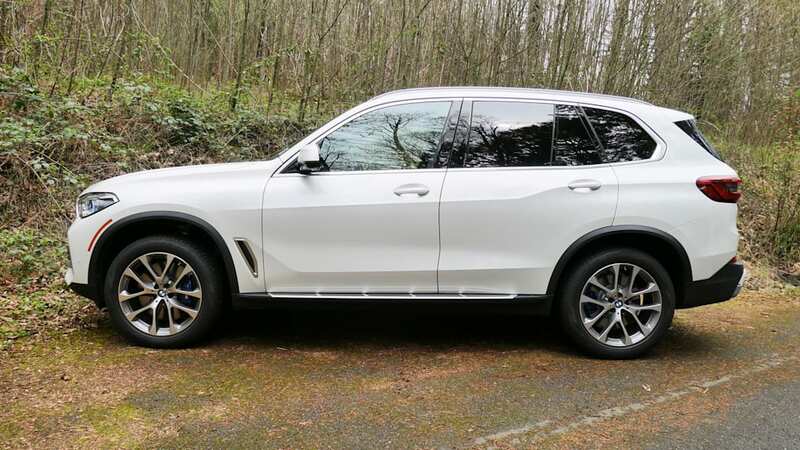 The X5's Mercedes GLE competition in the past has often seemed more overtly luxurious inside, while Audi's Q7 could seem more high-tech – the 2019 X5 seems to successfully meet them in the middle. 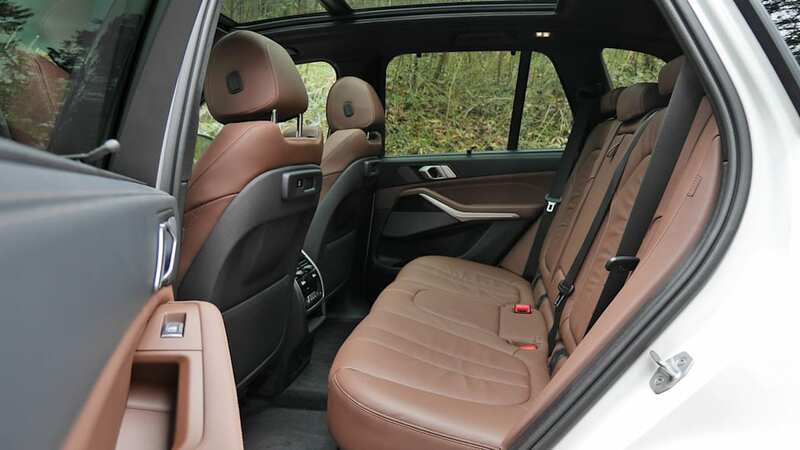 As is typical for this lofty segment of luxury SUVs, you can outfit the X5 in a truly opulent manner with things like a leather-wrapped dash, heated just-about everything (front and rear seats, steering wheel, armrests and cupholders), a 20-speaker Bowers & Wilkins sound system, fancier leather upholstery, multiple choices of wood trim, and glass finishings on center console controls. 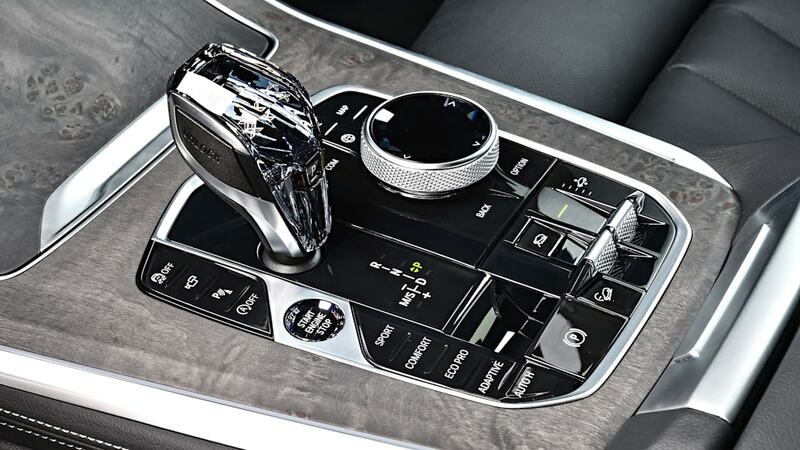 With the latter, you can make the electronic shifter look like some sort of crystal talisman from a fantasy novel. 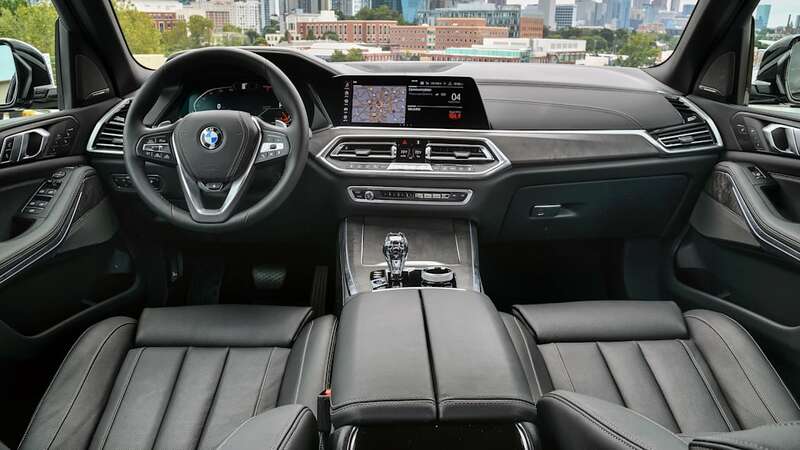 As for technology, make sure to set aside lots of time during a test drive (and delivery, if you buy one) to learn about the innumerable features and customization settings controlled by iDrive. 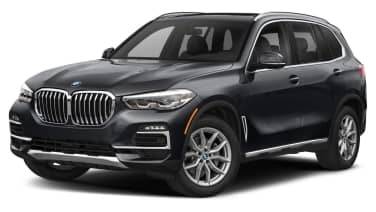 This isn't a car you just hop in and drive away. 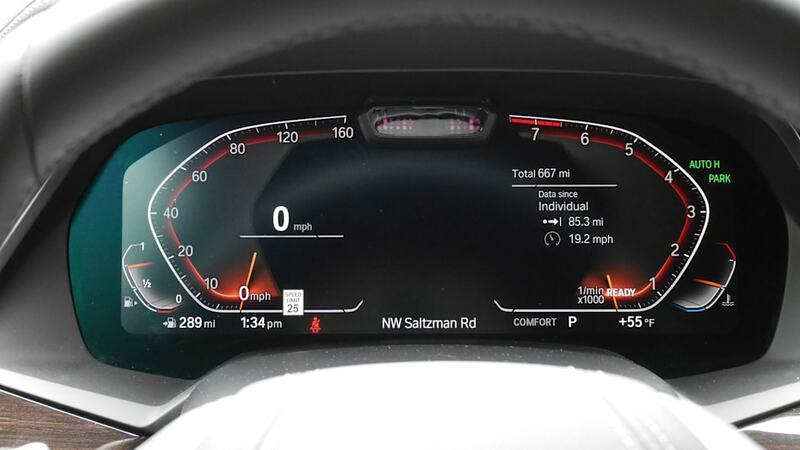 Everything from the way the gauges look to your preferred combination of powertrain and chassis settings can be programmed the way you like it. 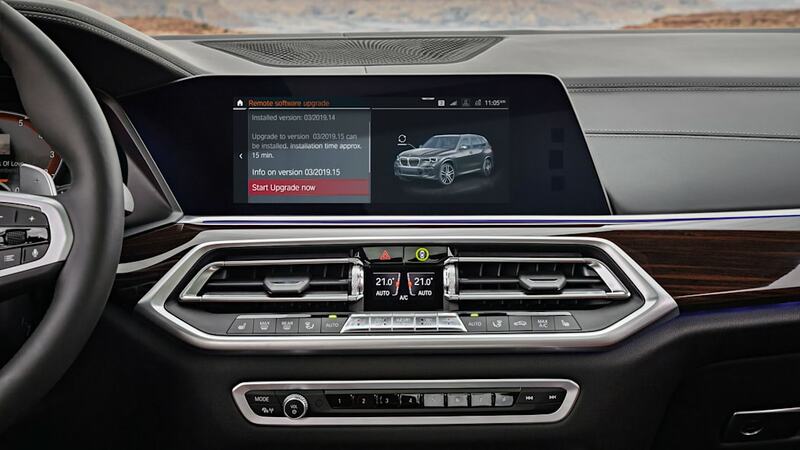 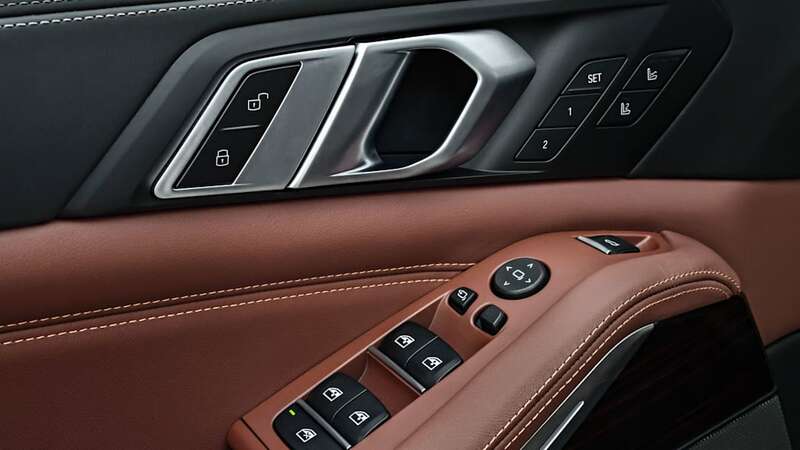 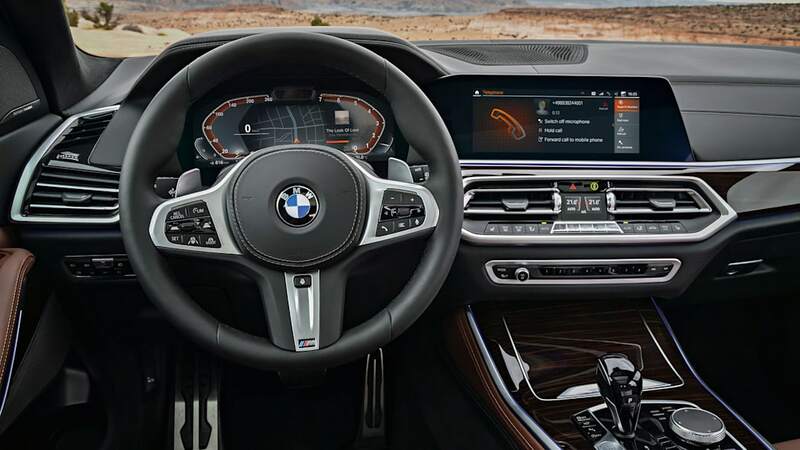 Plus, this latest iDrive can be controlled through a multitude of different means: the center console knob and surrounding capacitive menu "buttons," the touchscreen, natural voice commands akin to Amazon Alexa, or the rather useless gesture control (wave your hands about to accomplish tasks). 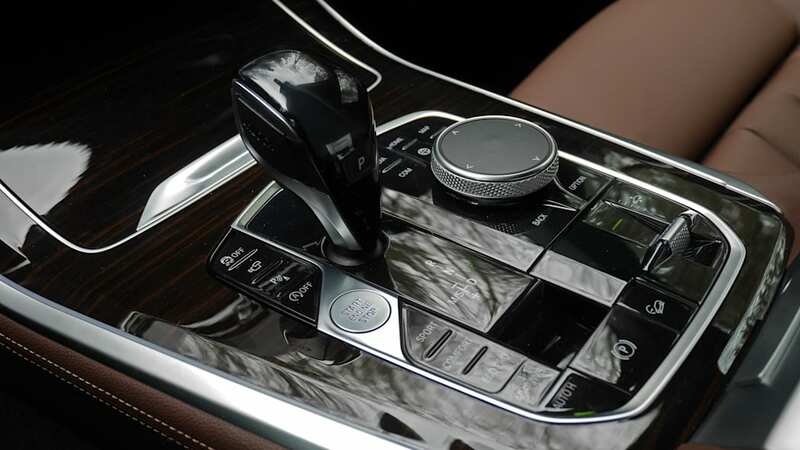 We found we liked to accomplish different tasks using different means of interface, which speaks to the value in such control redundancy. 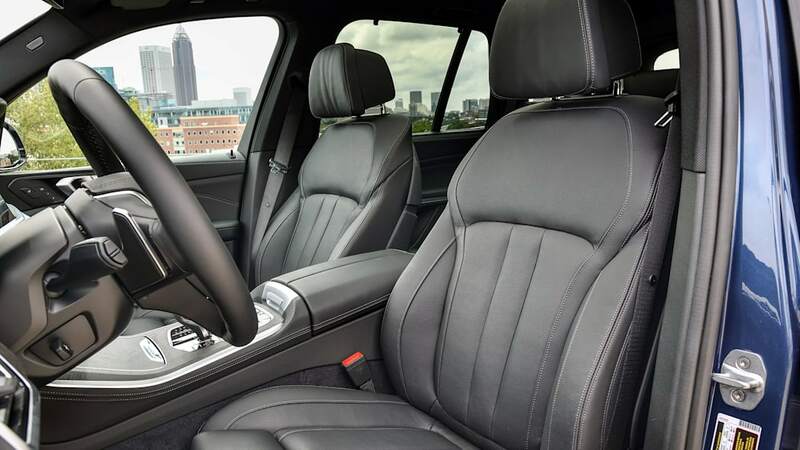 The X5 is a mid-size SUV that seats five people in two rows. 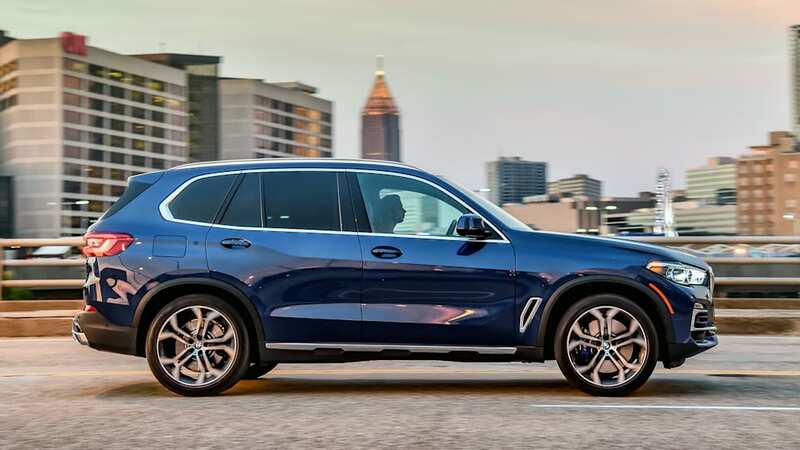 That configuration, along with its general exterior dimensions, makes it consistent with a Mercedes-Benz GLE-Class (it has the exact same length), Porsche Cayenne and Audi Q8. 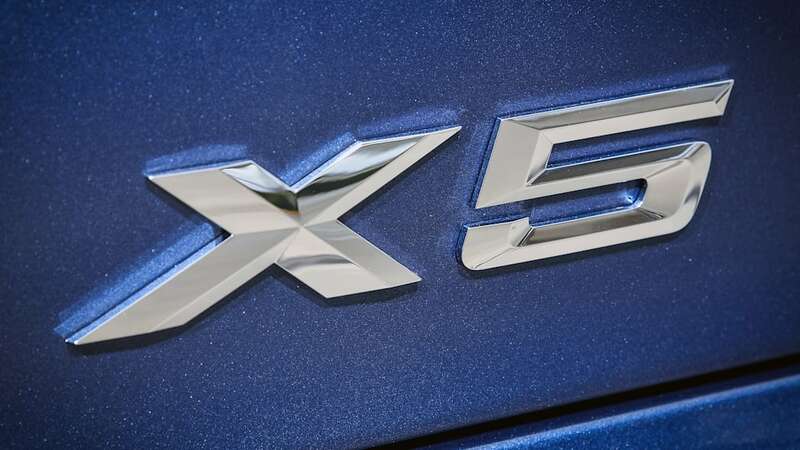 The Lexus RX 350 is also within spitting distance of this group, but costs much less. 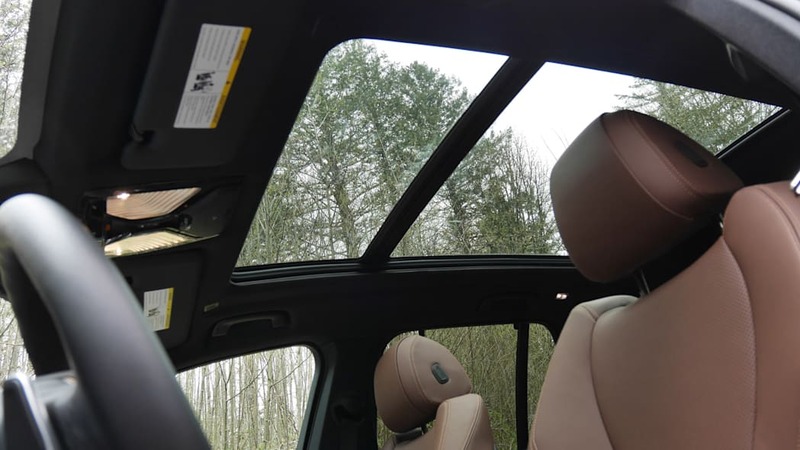 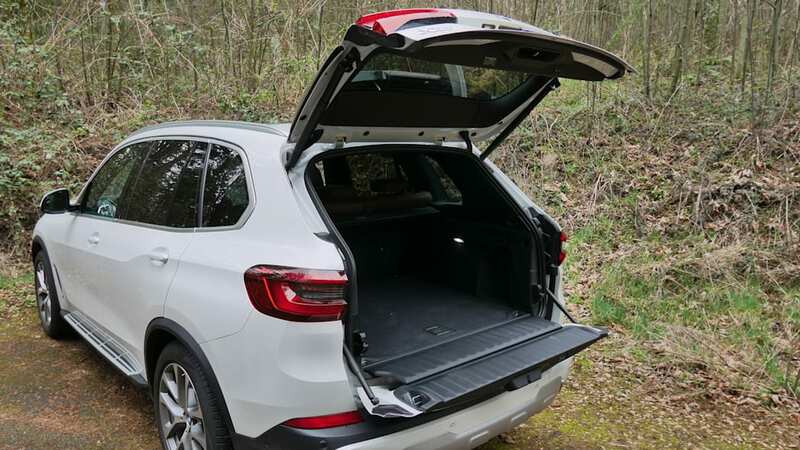 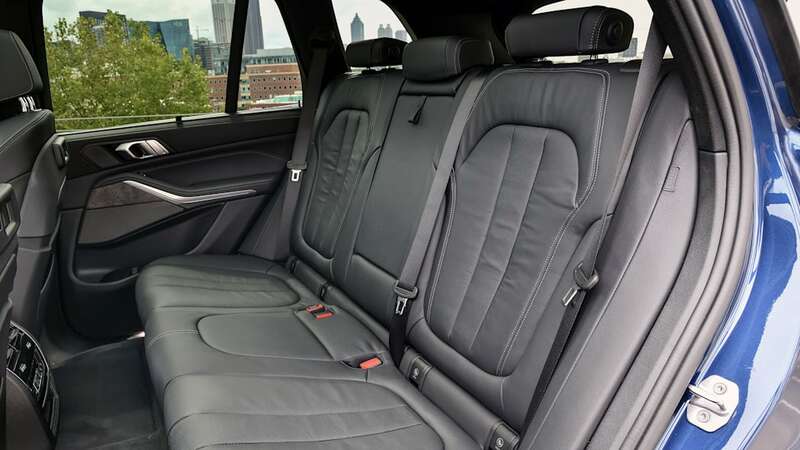 Inside, the specs would indicate that the X5 has less rear seat legroom than these competitors, especially the more passenger-focused Q8, and in person, we found it doesn't exactly provide the sprawl out space you might expect from a high-dollar SUV. 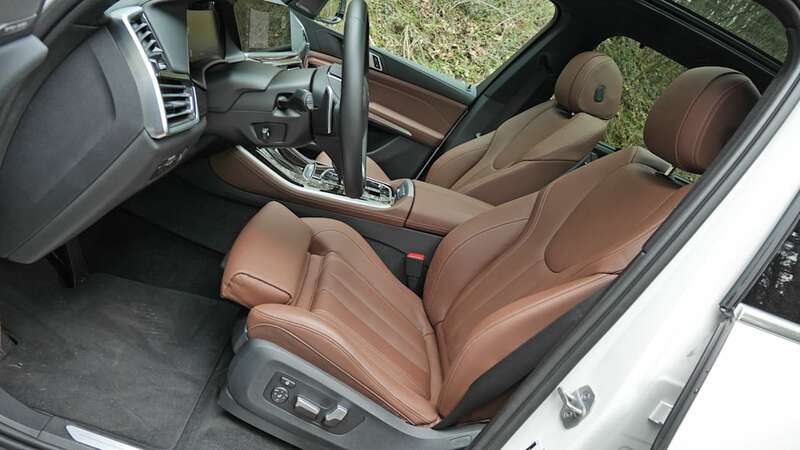 The seat back also doesn't recline. 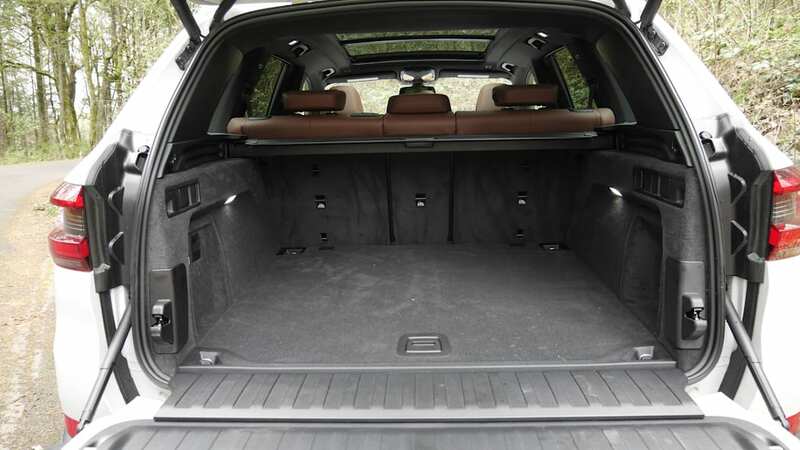 Head room in the rear is abundant, however, and shoulder room is typical for the segment, meaning fitting three across shouldn't be an issue. 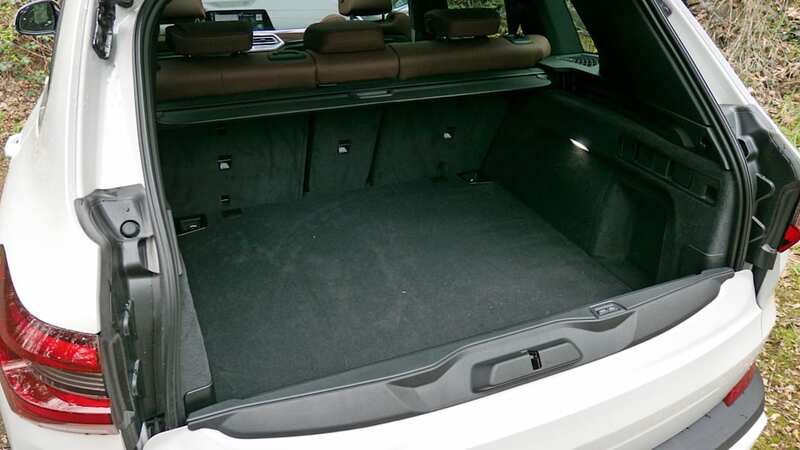 Now, while rear passenger space is just OK, cargo space is among the best in the two-row segment. 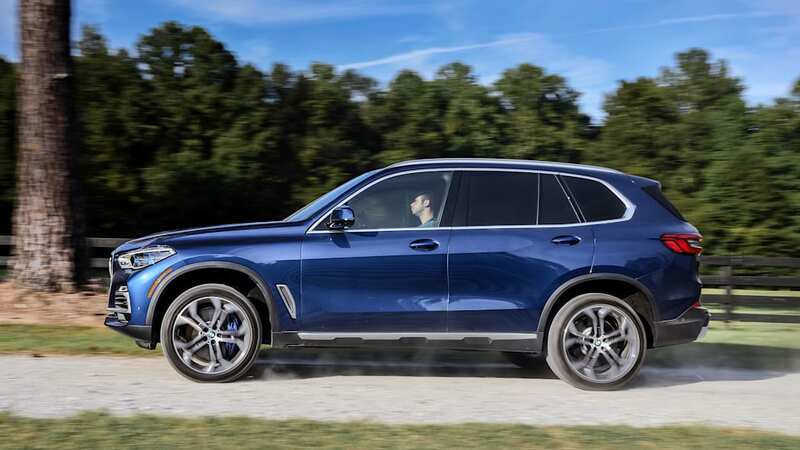 It grossly outpaces the Q8 and RX, which are compromised by raked rooflines, as well as BMW's X6 "coupe" sibling. 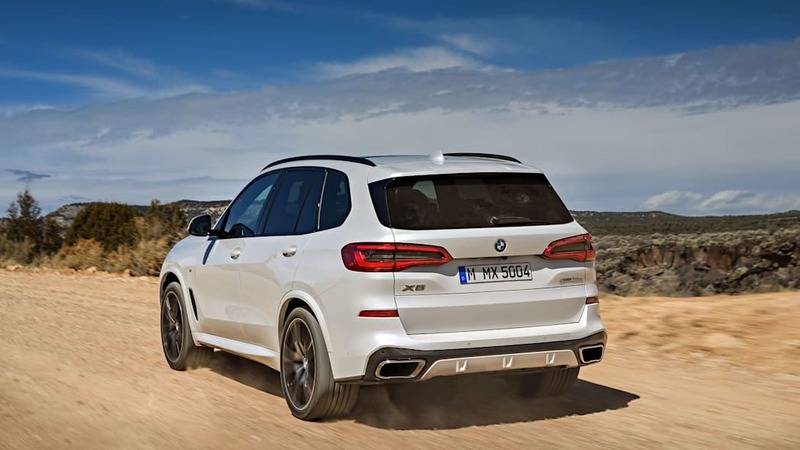 We don't have figures for the Cayenne or new GLE, but we suspect the X5 should be better than both, be it with the rear seat raised or lowered. 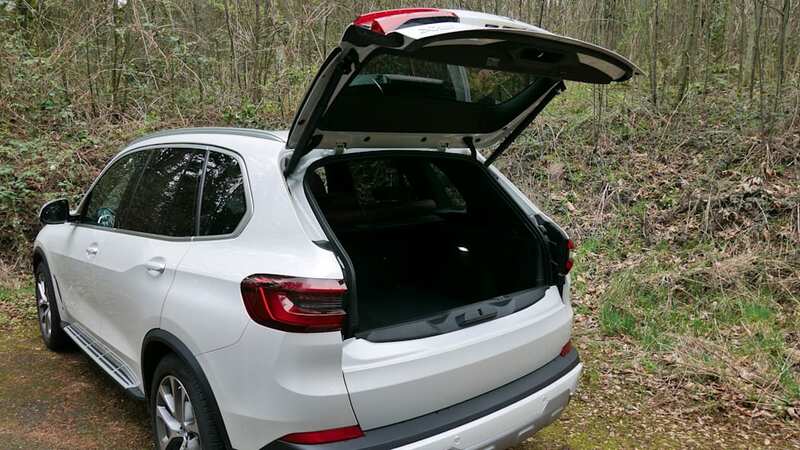 It also features a distinctive cargo opening: a power-operated liftgate and tailgate combination. 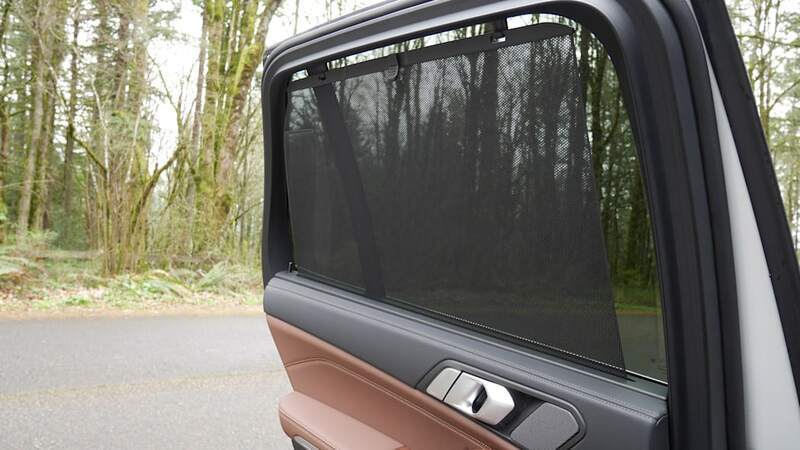 This allows you to access things inside without fear of those things rolling out when you open the tailgate. 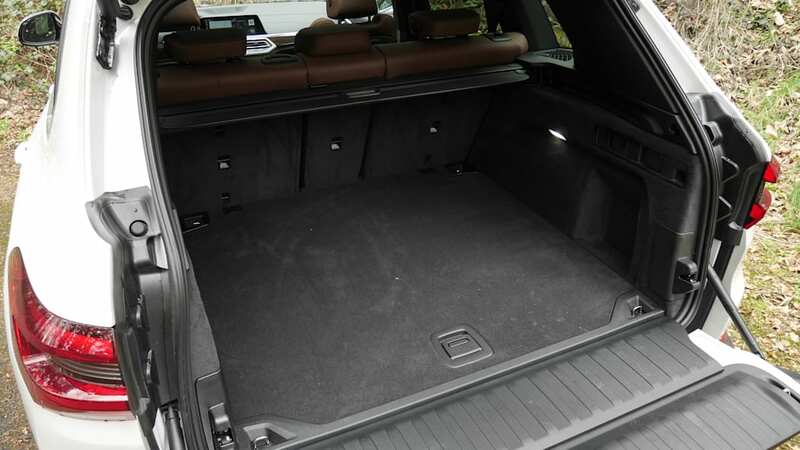 It also creates a nice, clean place to sit. 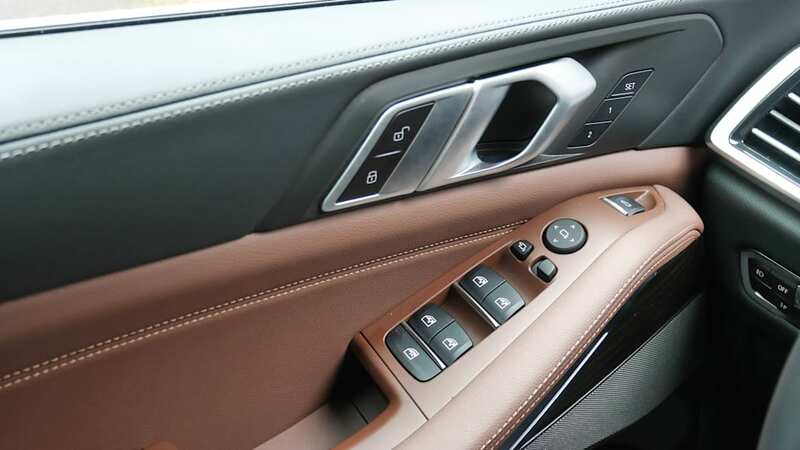 On the other hand, opening and closing is a two-step process. 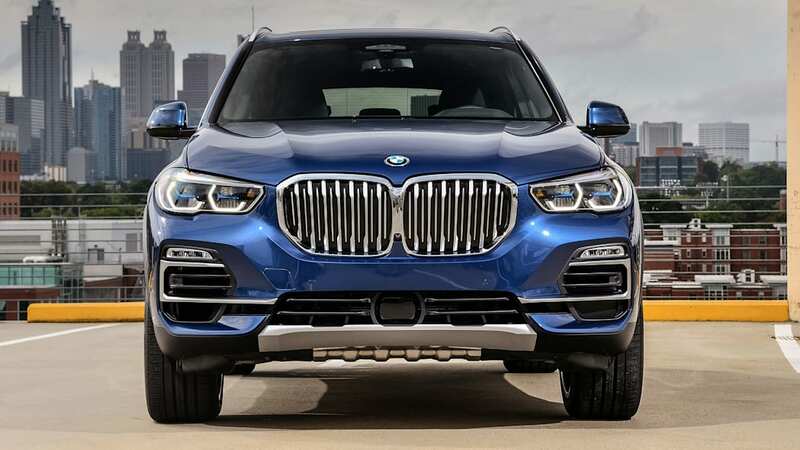 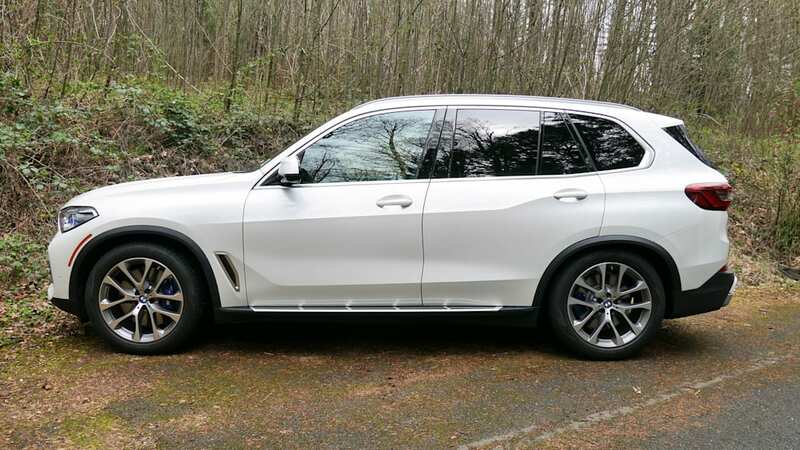 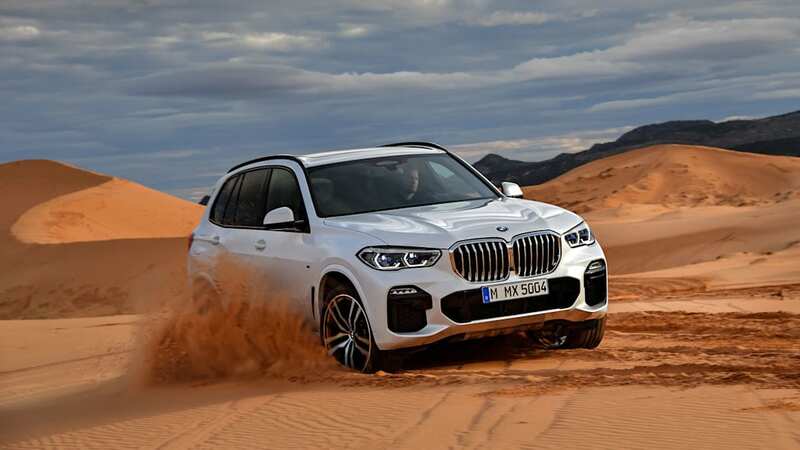 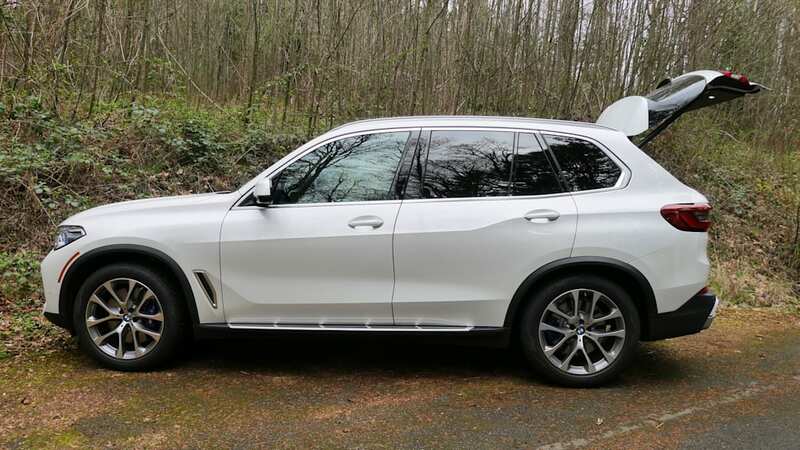 Although there will eventually be a plug-in hybrid and uber-performance X5 M available, for 2019, there are models that correspond with different engines: xDrive40i and xDrive50i models. 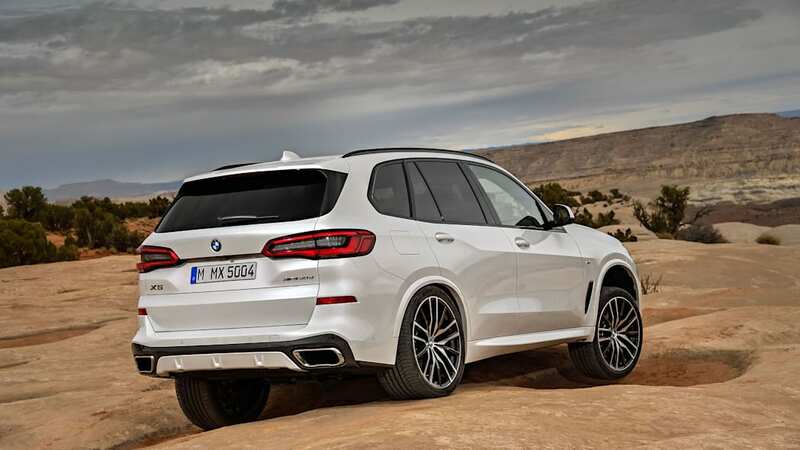 The xDrive40i has a 3.0-liter turbocharged inline-six that produces 335 horsepower and 330 pound-feet of torque. 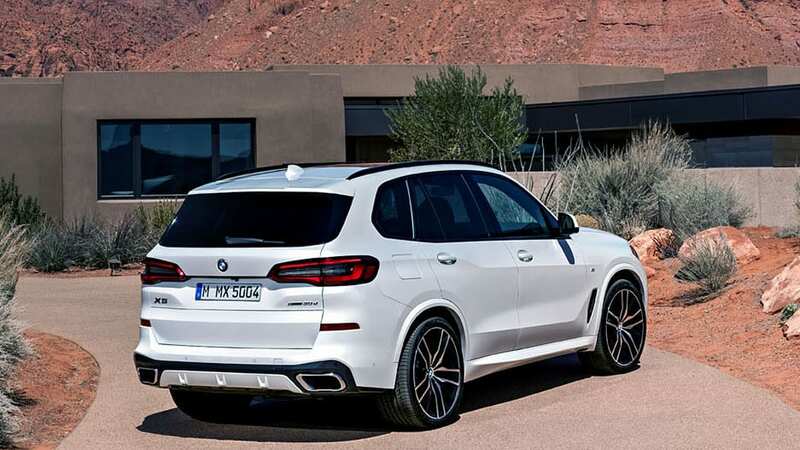 Like every X5, it has an eight-speed automatic and "xDrive" all-wheel drive. 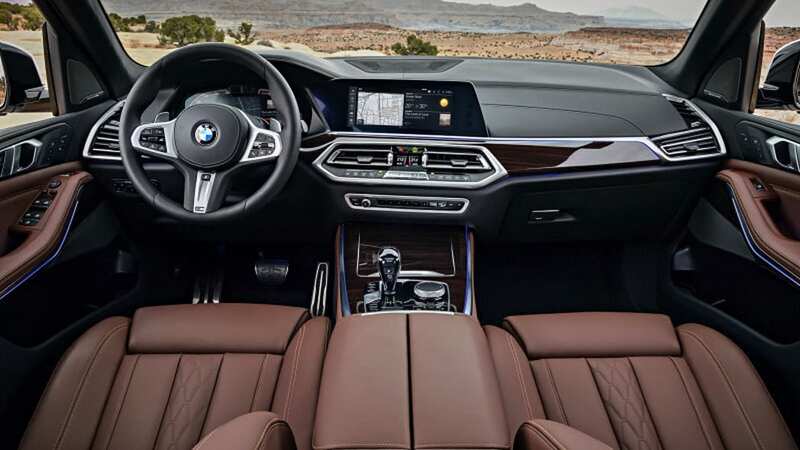 BMW estimates that it goes from zero to 60 mph in a quick 5.3 seconds. 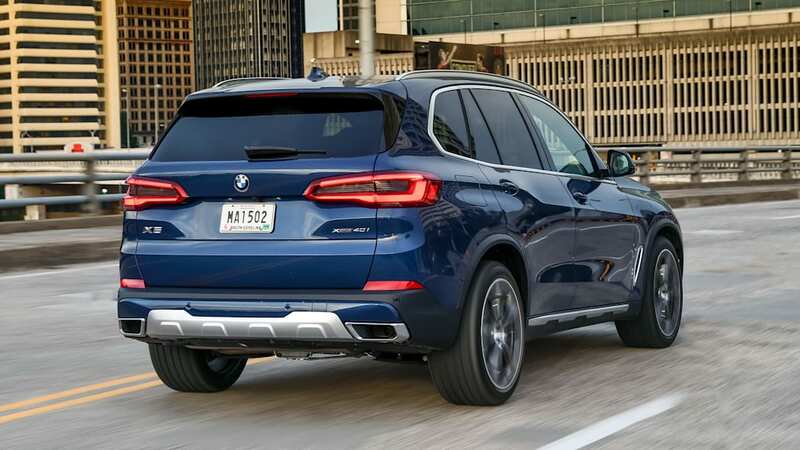 EPA-estimated fuel economy is 20 mpg city, 26 mpg highway and 22 mpg combined, which is pretty good given the X5's size and performance. 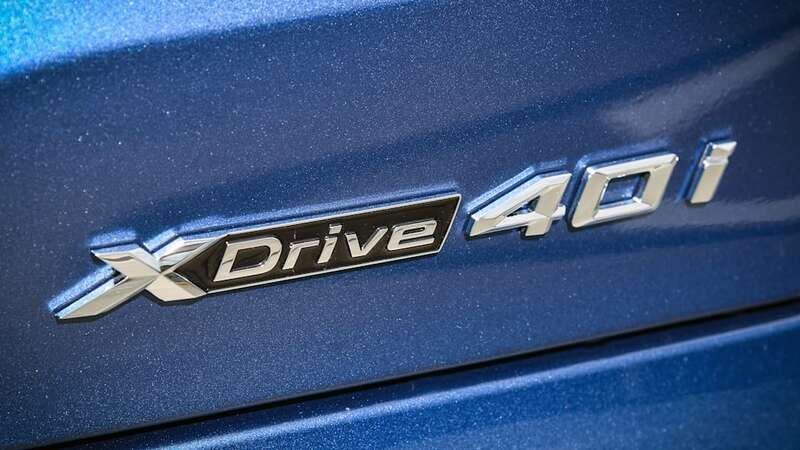 The xDrive50i packs a 4.4-liter turbocharged V8 good for 456 hp and 479 lb-ft of torque. 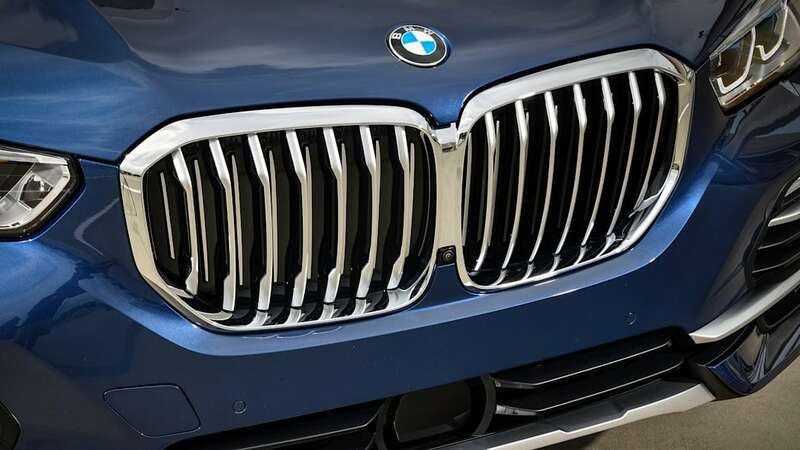 BMW says it'll hit 60 mph in 4.6 seconds. 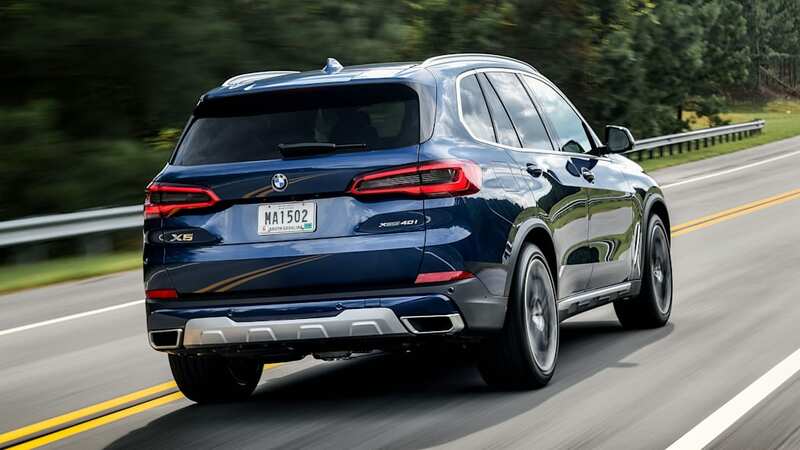 EPA-estimated fuel economy is 17/22/19. 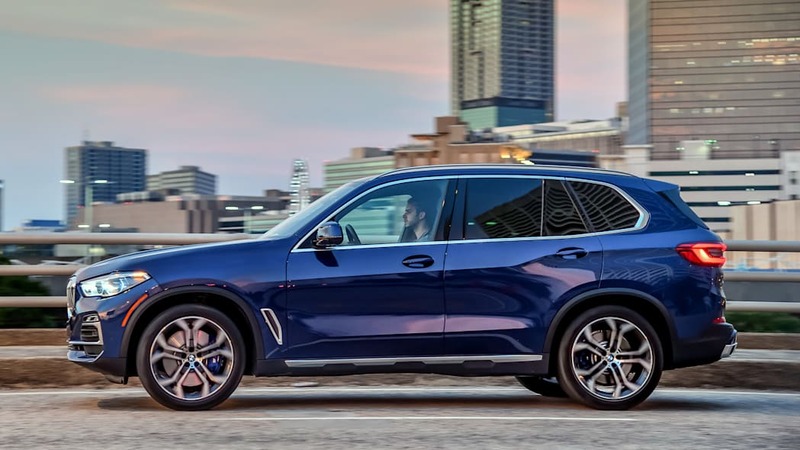 The X5 is soft, quiet and buttery smooth around town or on the highway, feeling impeccably engineered to make you only mildly aware of your surroundings. 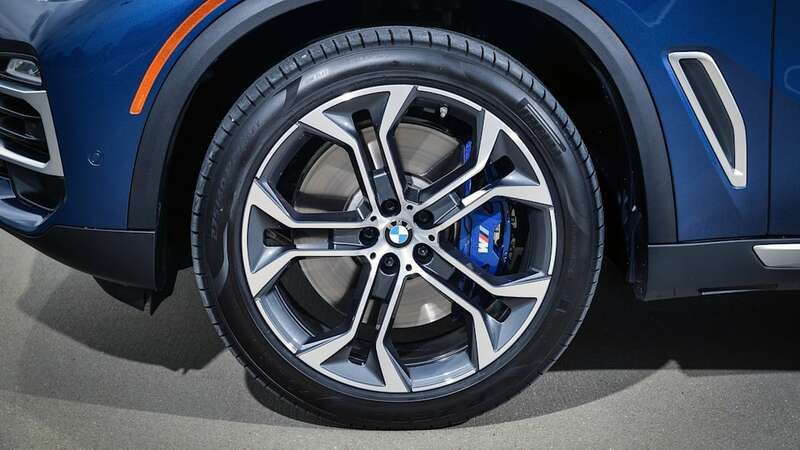 Despite riding on 20-inch wheels and run-flat tires, our X5 test car softened the impacts from potholes with expert dampening from the available height-adjustable air suspension. 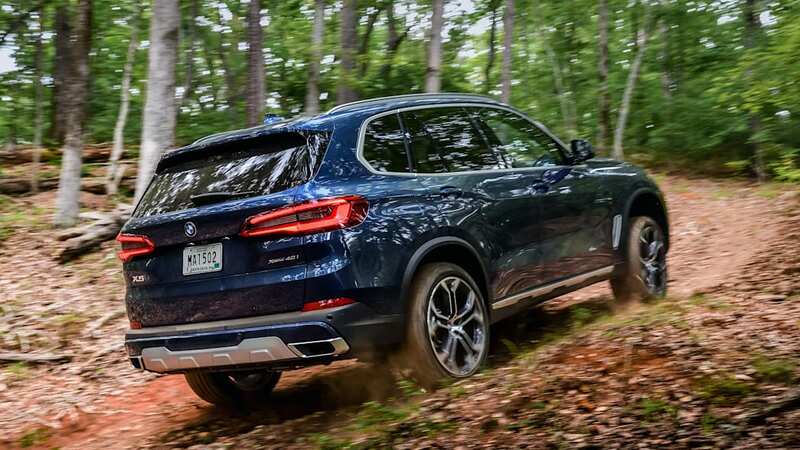 We'd suspect the standard adaptive suspension would be pretty exceptional in this regard as well. 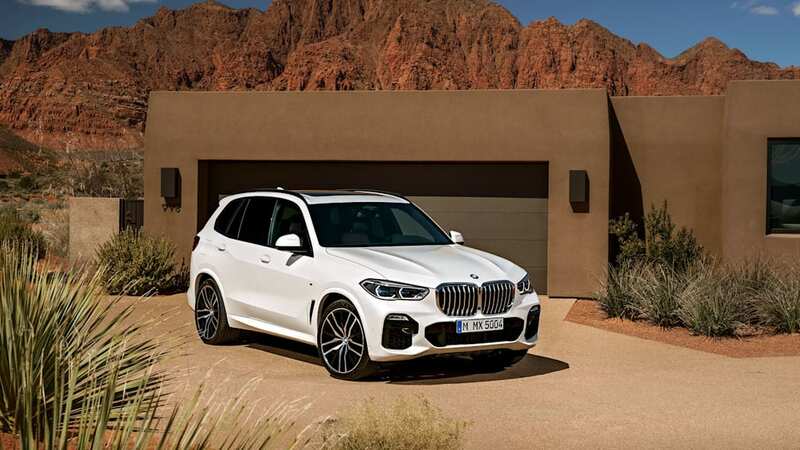 When you start to hustle the X5 along, however, there's a poise and sophistication to the way it takes corners that you wouldn't expect from something so comfy the rest of the time. 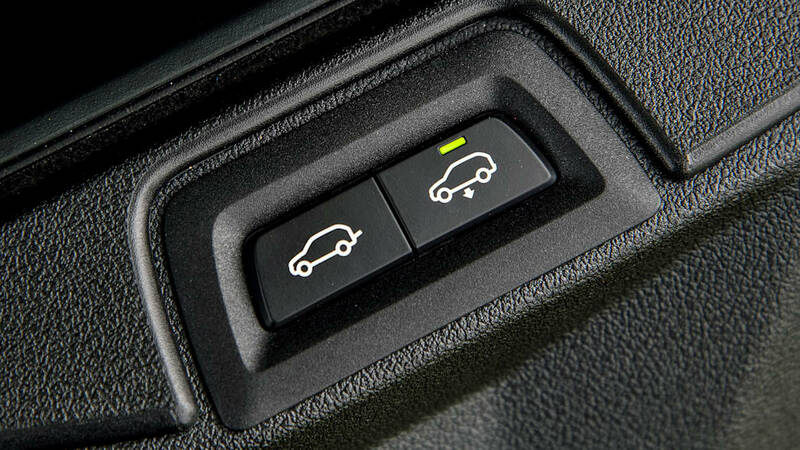 Selecting Sport or Individual tightens the steering, suspension, transmission and throttle response accordingly. 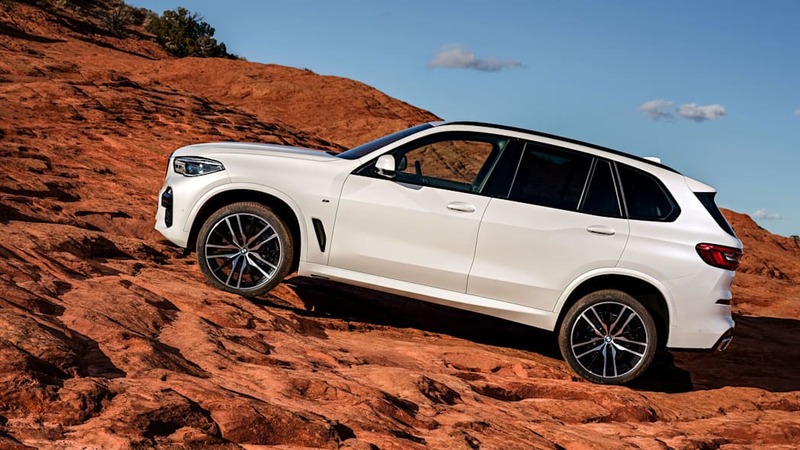 The height-adjustable suspension even lowers itself in Sport. 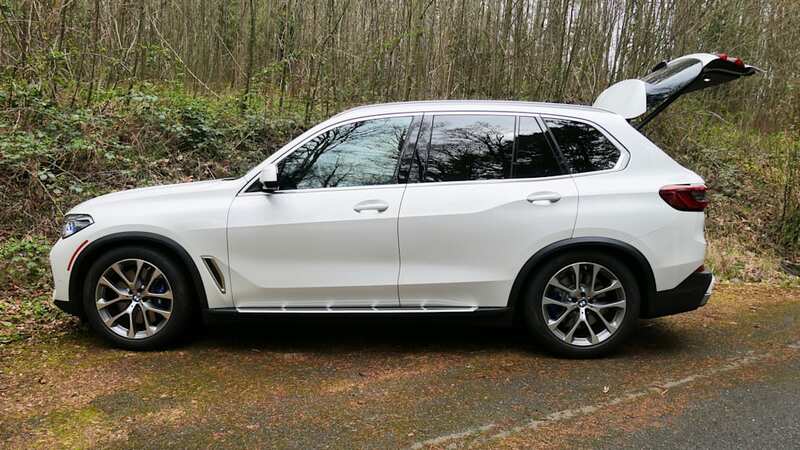 If anything the Sport Plus setting is almost too firm as to be unpleasant on anything but pristine pavement. 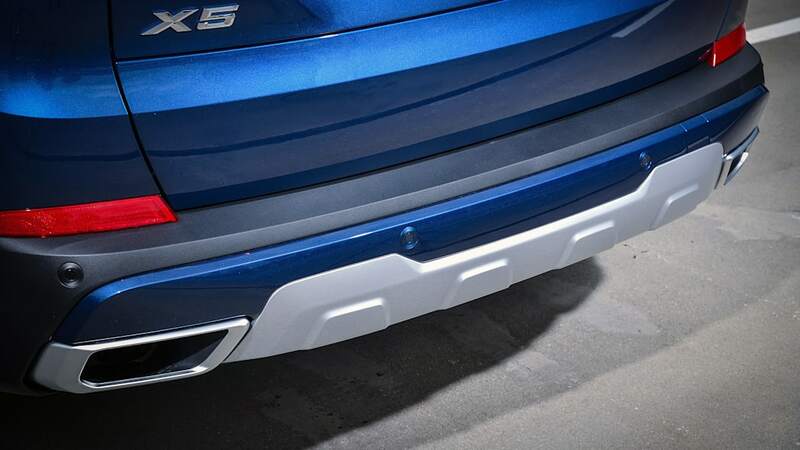 Bumps can actually unsettle it a bit through corners, much like other firmly sprung cars are wont to be. 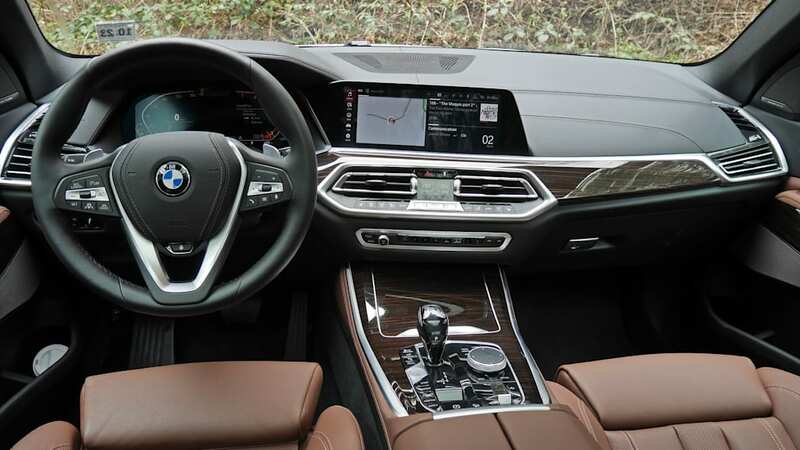 This breadth of driving feel is actually quite extraordinary. 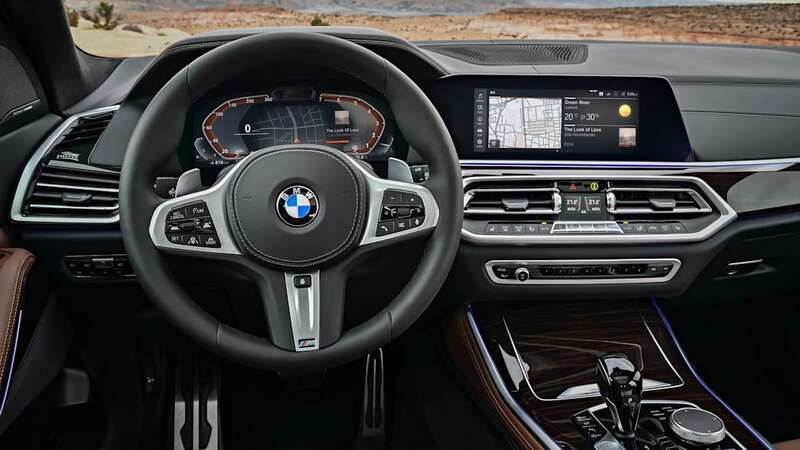 Unfortunately, the steering is not, and it's our main dynamic complaint with the X5. 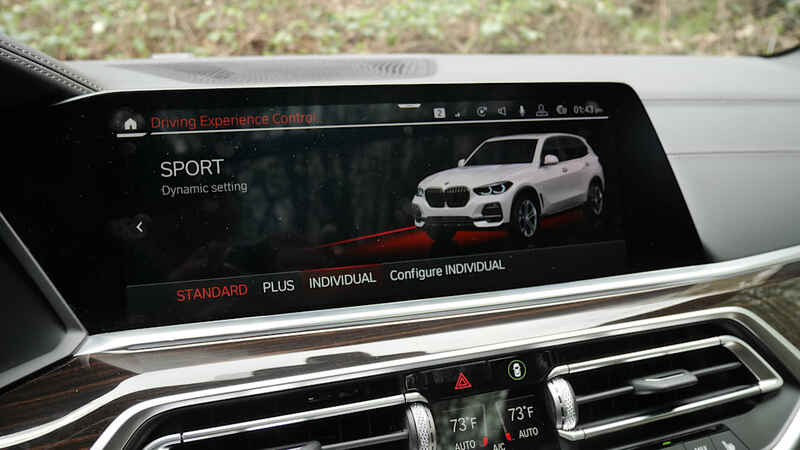 Like other BMWs, there just isn't enough feedback regardless of the drive setting you're in. While the chassis tells you how athletic it is through the seat of your pants, the steering can't break free from that foam layer. 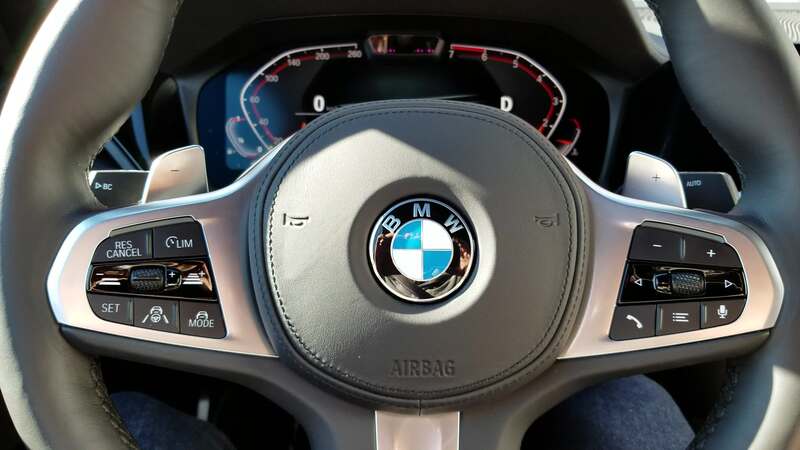 The Integral Active Steering, which adds rear wheel articulation, doesn't really help in this regard, but does make for a tighter turning circle. 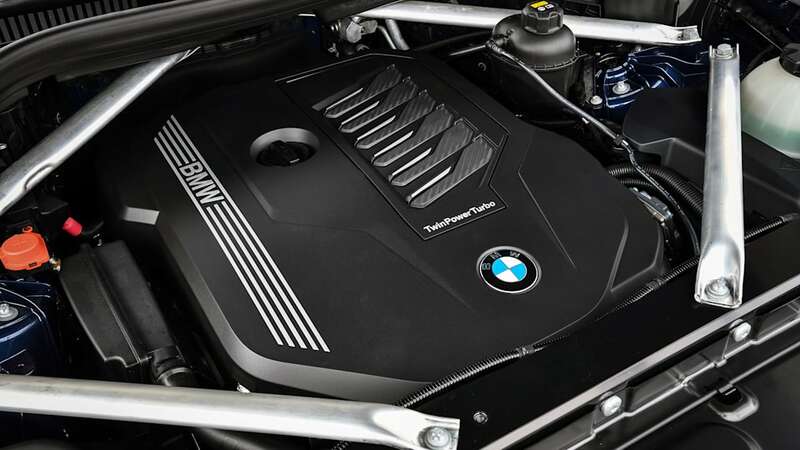 As for the engine, power from the base turbo inline-6 is abundant. 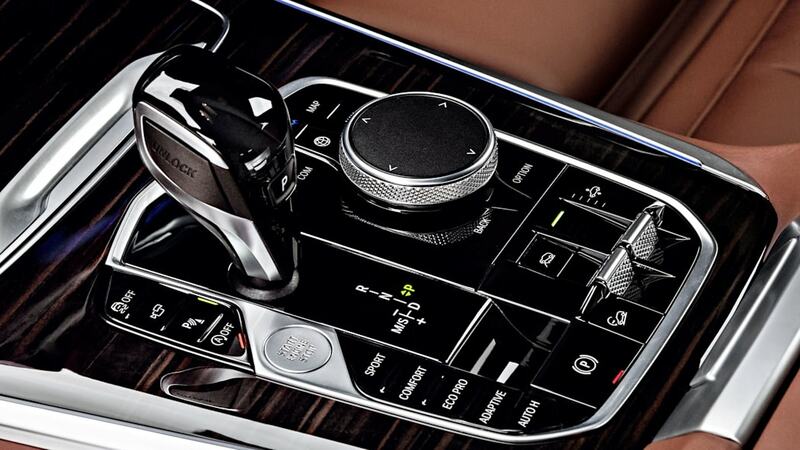 The turbo V8 is just indulgent. 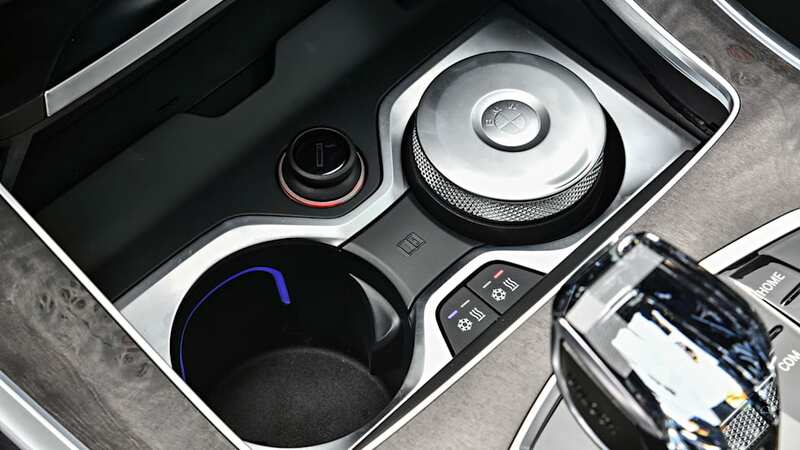 Either way, it really comes down to how much gas you want to put in the thing. 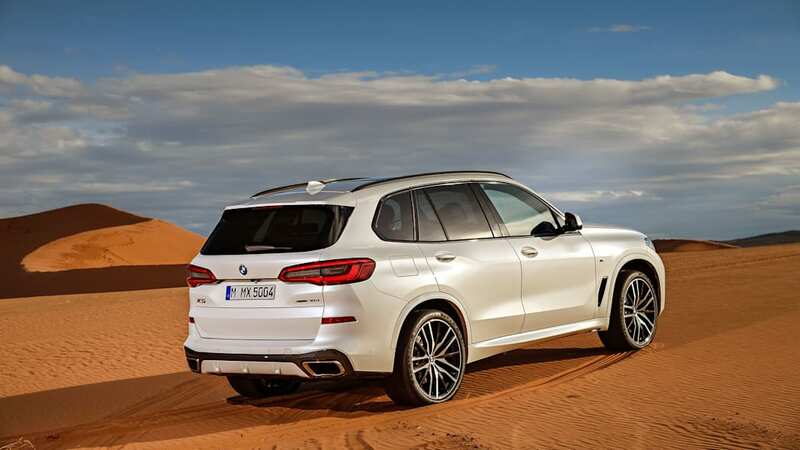 What more can I read about the BMW X5? 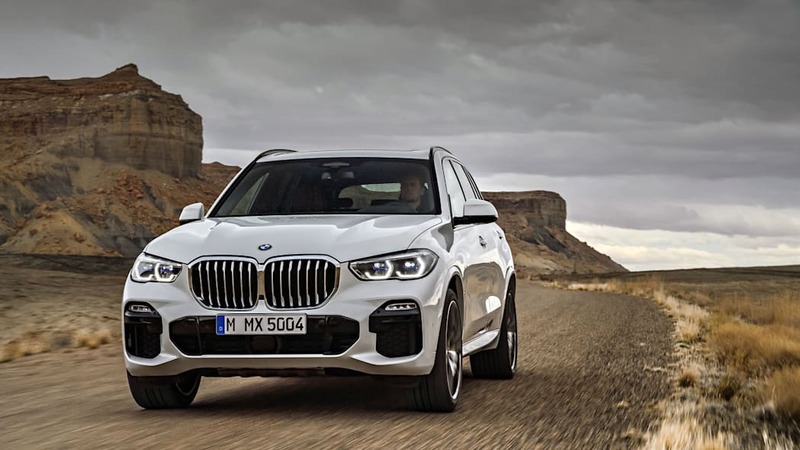 Our first driving driving impressions of the new X5, including more details about what was new and different about this completely redesigned, fourth-generation version. 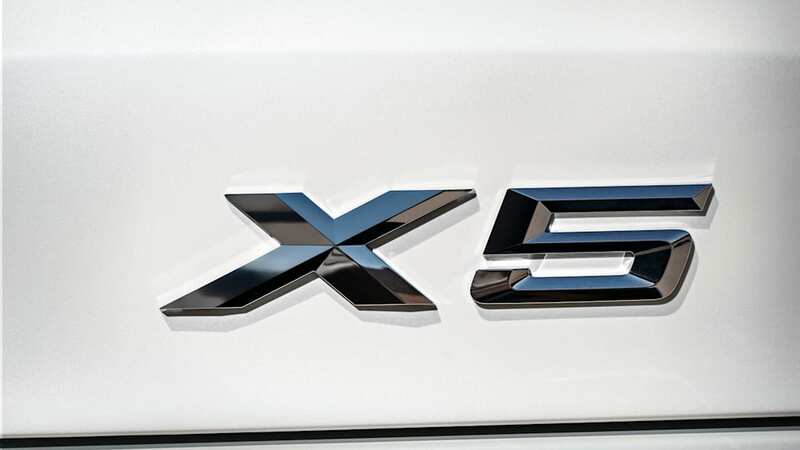 We get the X5 back to our Michigan headquarters for a more complete test drive. 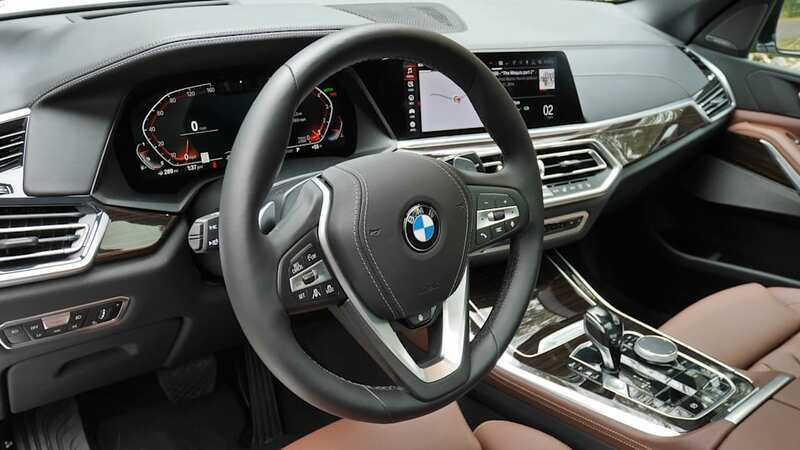 It proved a bit controversial, especially the steering. 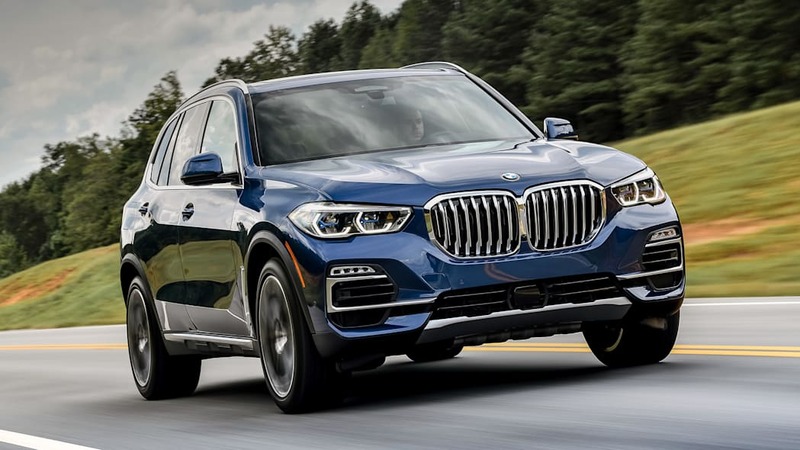 Pricing for the 2019 BMW X5 xDrive40i starts at $61,695, including the $995 destination charge (the X5 is built in South Carolina, by the way). 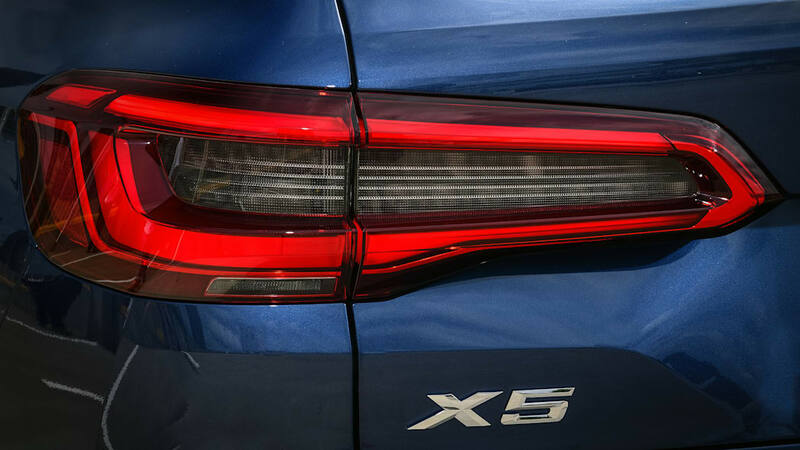 The xDrive50i starts at $76,745. 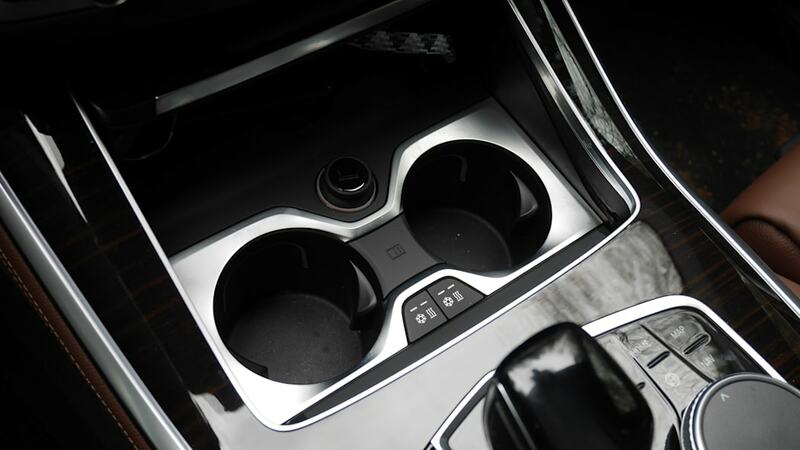 Standard equipment includes 19-inch wheels, run-flat tires, an adaptive suspension, adaptive LED headlights, power-folding mirrors, a variety of safety and driver aids (see safety section below), automatic wipers, a panoramic sunroof, a power liftgate, front and rear parking sensors, dual-zone automatic climate control, heated front seats, eight-way power front seats (includes power-adjustable lumbar and side bolsters plus manual thigh adjustment), SensaTec simulated leather, 40/20/40-split folding back seat, a power-adjustable leather-wrapped steering wheel, five USB ports (including three USB-C), the Live Cockpit infotainment system with two 12.3-inch displays and the latest iDrive control interface, a one-year trial subscription to Apple CarPlay, and a 10-speaker sound system. 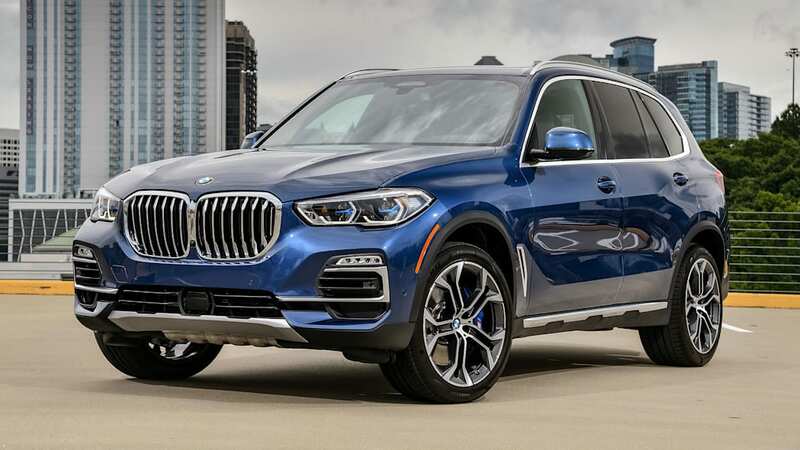 Besides its bigger engine, the xDrive50i includes items otherwise optional on the xDrive40i, including upgraded "Comfort" seats, four-zone climate control, and a 16-speaker Harman Kardon sound system with satellite radio. 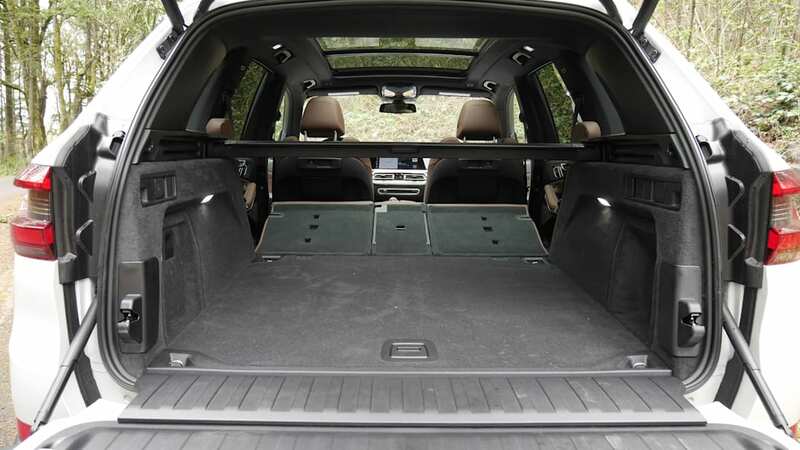 There is a multitude of packages and stand-alone options available. 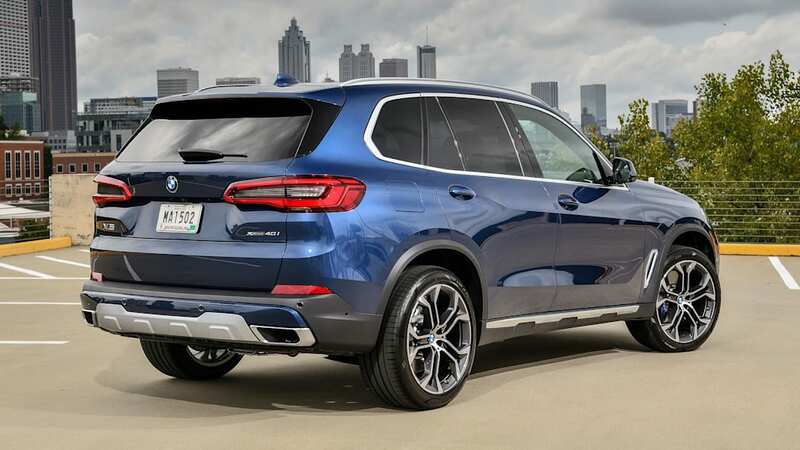 Check out our more complete breakdown of features, options, specs and local pricing here on Autoblog. 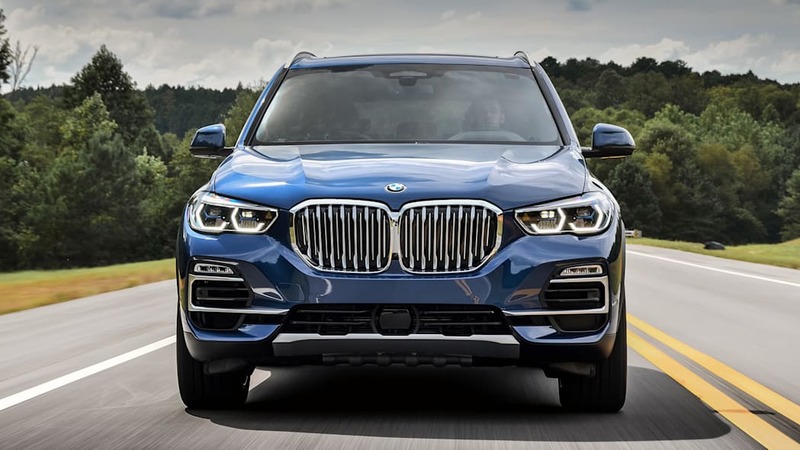 Besides the usual allotment of airbags and stability aids, every X5 comes standard with forward collision warning with pedestrian detection and emergency automatic braking, lane-departure warning, blind-spot and rear cross-traffic warning systems, and BMW Assist eCall emergency communications. 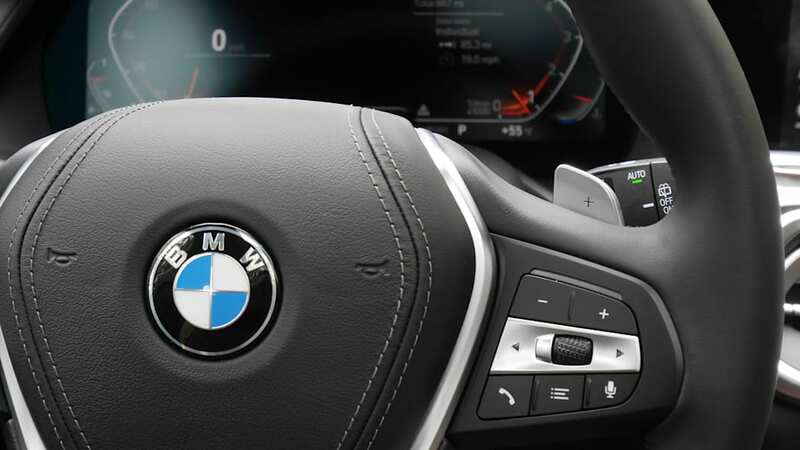 The Driving Assistance Professional package provides steering assistance for lane-keeping and evading obstacles. 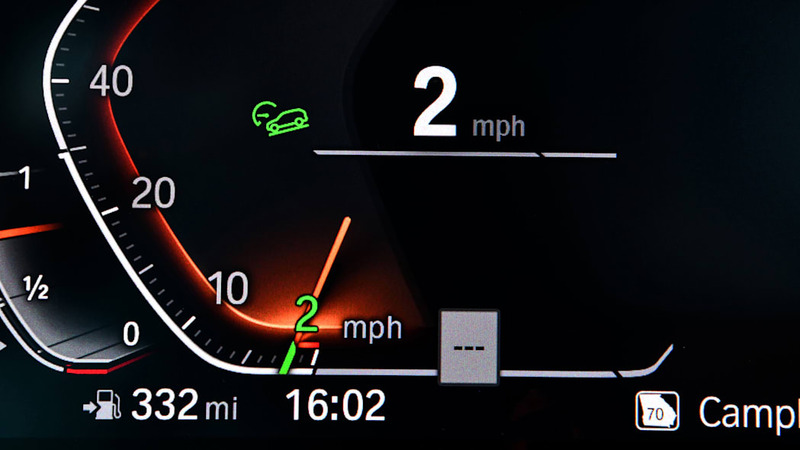 Adaptive cruise control is a separate option, as is the Backup Assistant function (see video below). 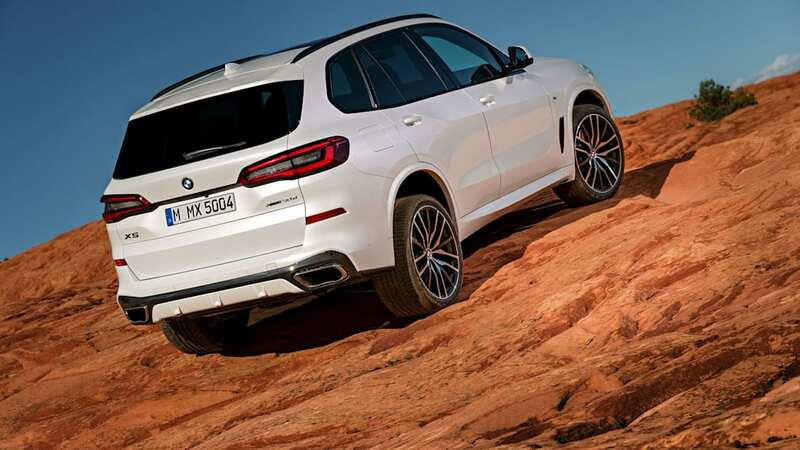 The X5 had not be crash tested by a third party at the time of this writing.